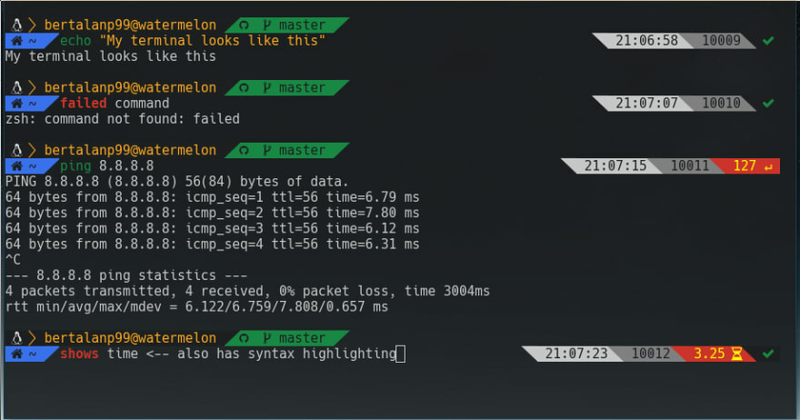 Can I see your terminal? 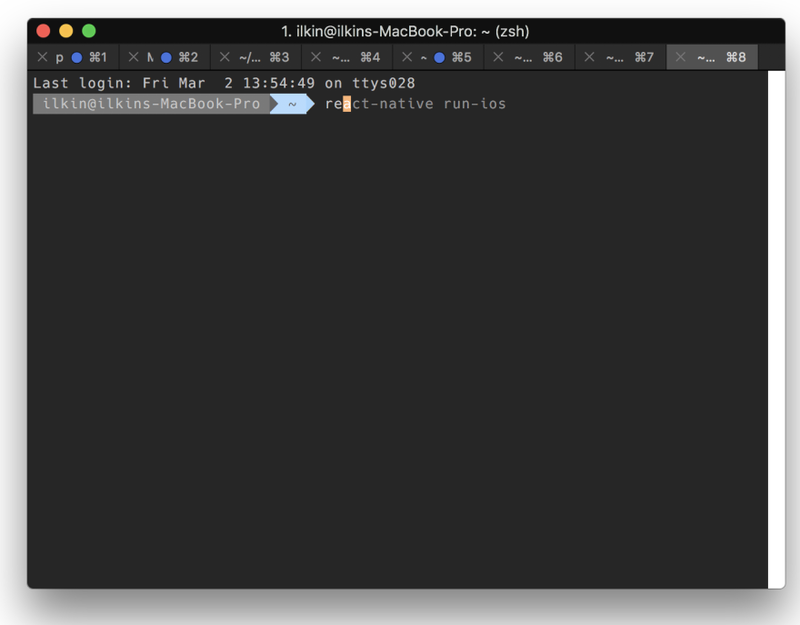 Any macOS terminal has tabs. 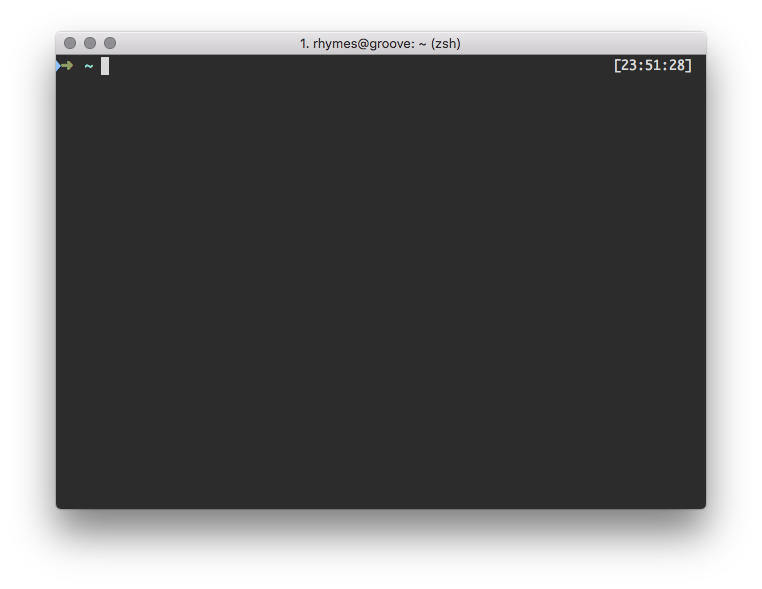 This is just the iTerm app as a Terminal replacement. 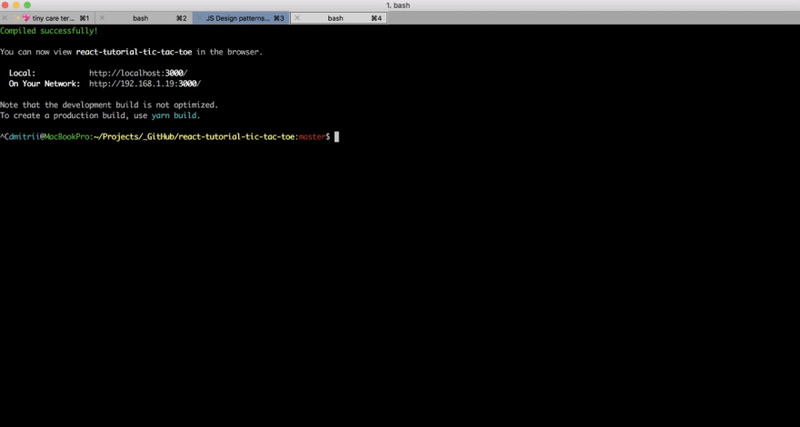 But you can make "bash has tabs" with screen or tmux :) have a look, it's really great for remote work too. What they didn't tell me: Cmd+Ctrl+Shift+4 will put the screenshot into the clipboard, which is a lot easier when what you want is to paste directly into Slack. My final recommendation for screenshots is Skitch, which has very nifty tools for annotating. I love the arrows especially. Skitch is great, I stopped using it when I found out that Preview has a lot of those annotating features. It isn't as feature full as Skitch, but it fits me well. If on Windows 10 there is the WinKey + Shift + S keycombo to launch selecting an area to screen shot which gets copied to the clipboard. Or just hit WinKey, type snip, and hit enter, then select the Window selection. you get a screenshot of the current focused window. Good old print screen still works on Windows. These are for custom crops. Woah that is a neat tip. NB: You can omit the Kubernetes part. In case someone asks, this is the theme. 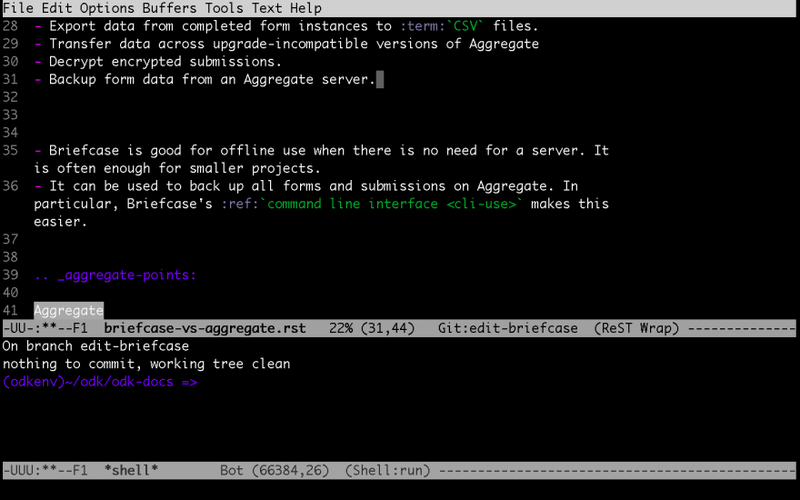 I use termite with zsh. The calendar is when. Font is Inconsolata-dz (a variant with straight quotation marks). 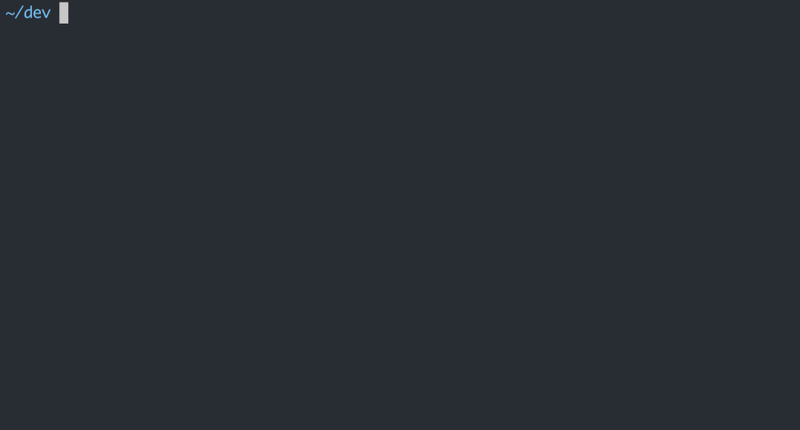 Window titles are displayed in my statusbar so I save a tiny bit of space by eliminating borders and titlebars. 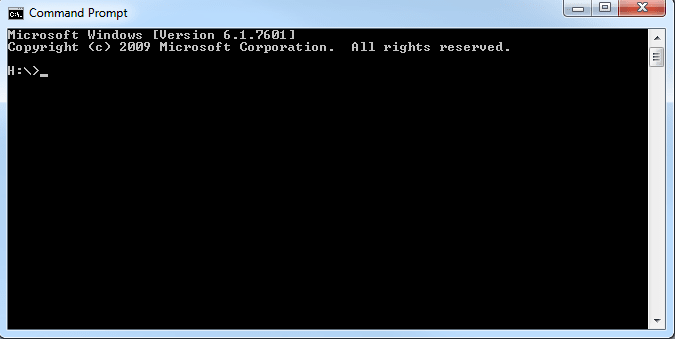 Pressing ESC or Ctrl+[ switches the command line from insert to command mode so I can navigate as in vi. is that massive-js as in the not-really-an-orm for postgres? if so i discovered it yesterday - great package! It is, yes! Glad you like it! Love the question and all the responses. 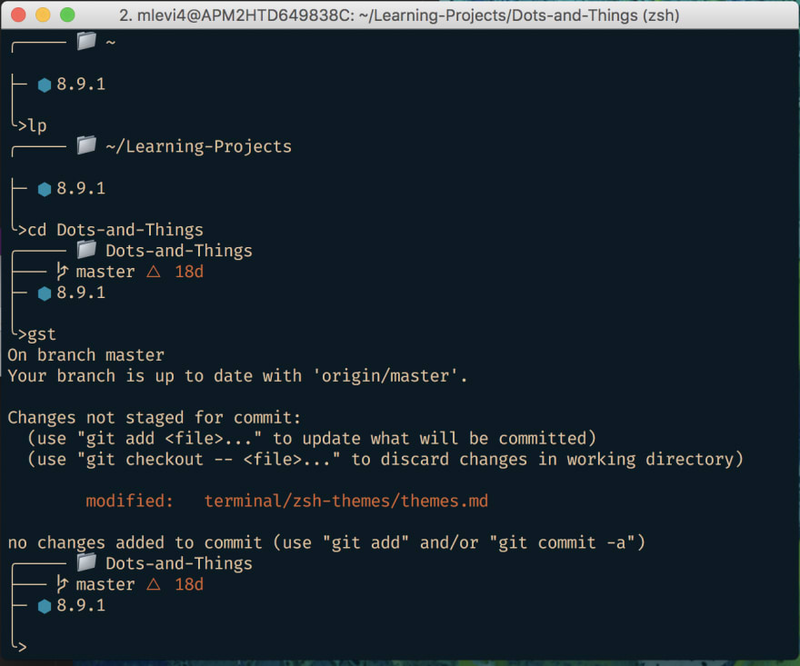 I'm using zsh and the man theme - ran a few dir and speak commands to show how git and time are incorporated. This kinda looks like a giant Post-It note. I like that. 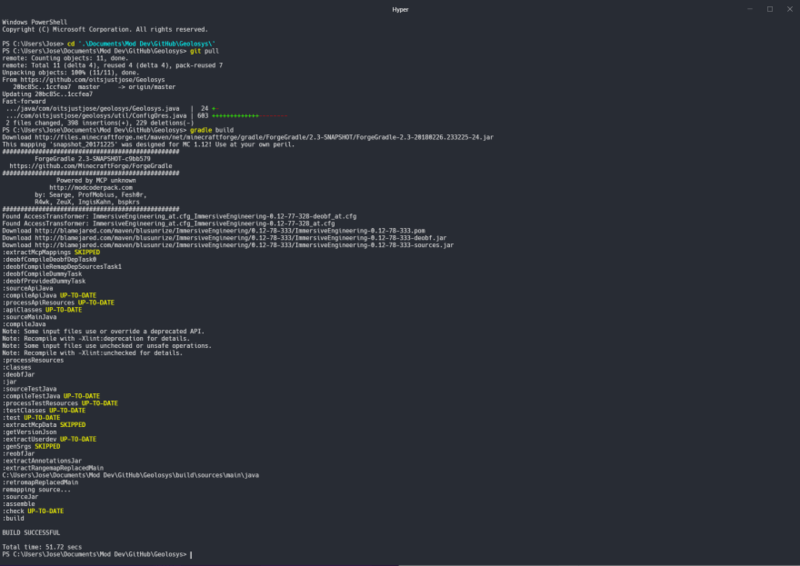 I stumbled on the yellow while playing around with the default choices in Terminal. 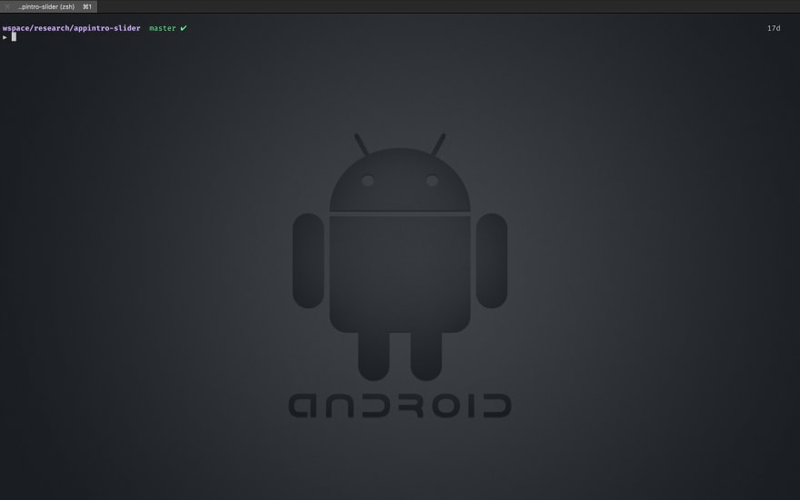 :) I like it...almost all of my other coding screens are dark grey. 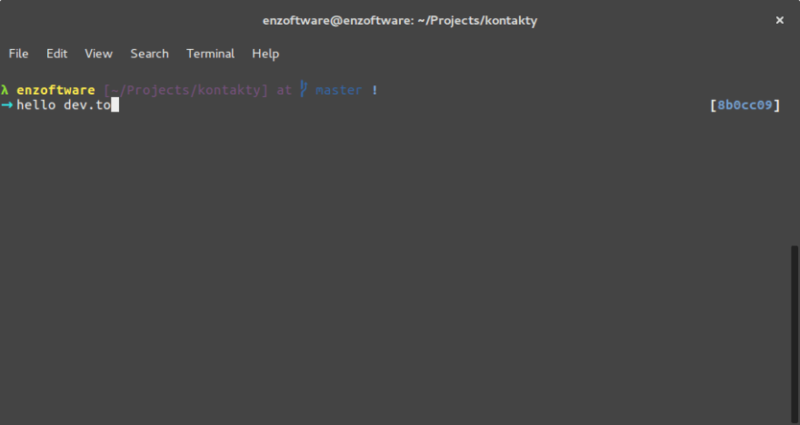 Seems more like prezto and not Oh My ZSH. Yeah you are correct, my bad. 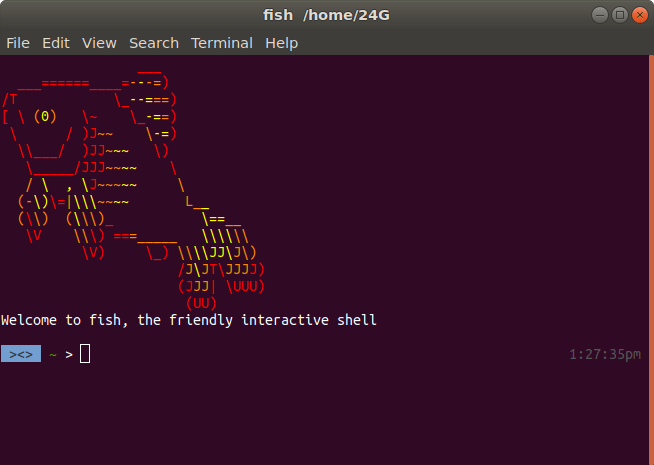 I have since switched over to fish shell. Nothing special, iTerm2 with a few custom preferences. 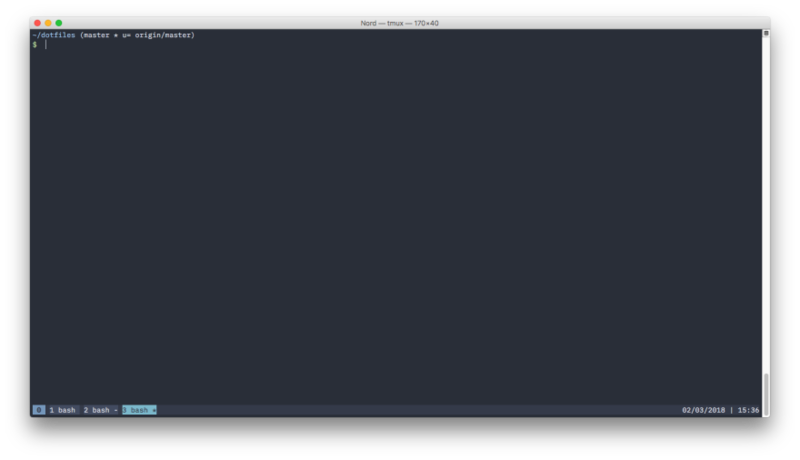 I have this in a separate iTerm window. 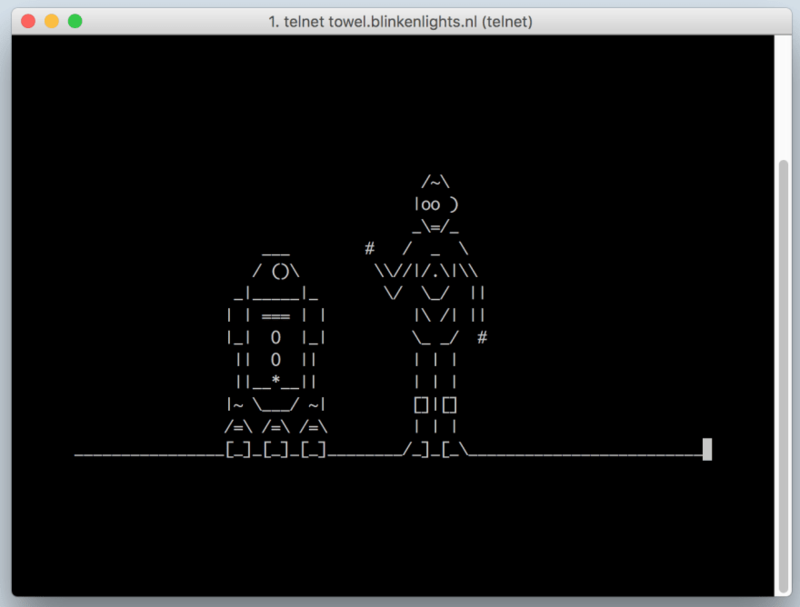 Love tiny-care-terminal. 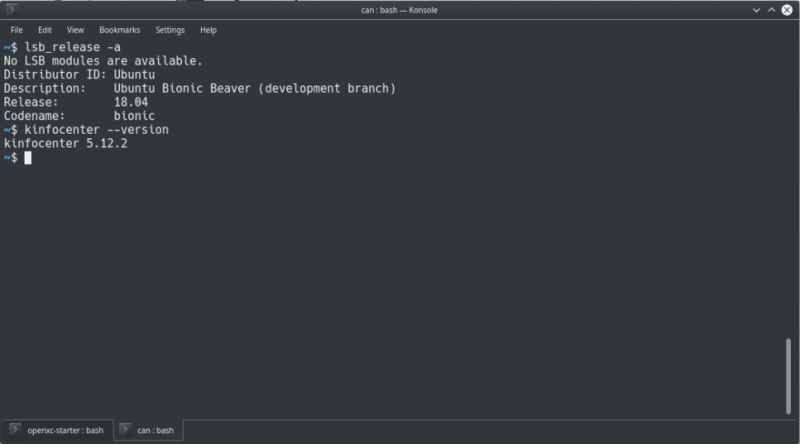 I do like termite, but this is the normal terminal in gnome. I just never got around to compiling termite on this machine. 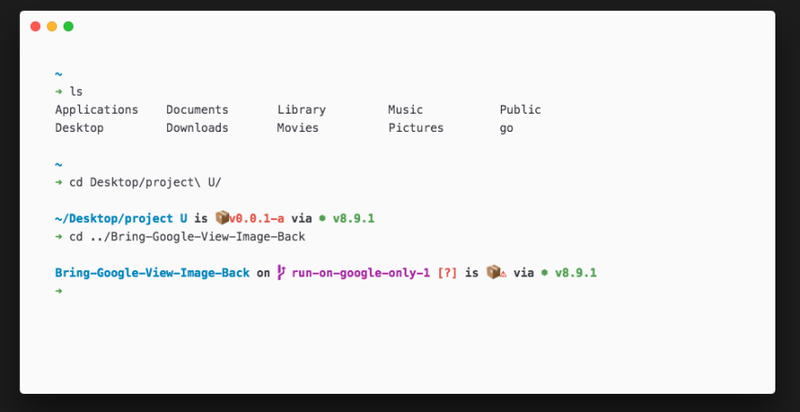 This is the ideal terminal. You may not like it, but this is what peak performance looks like. Is it? 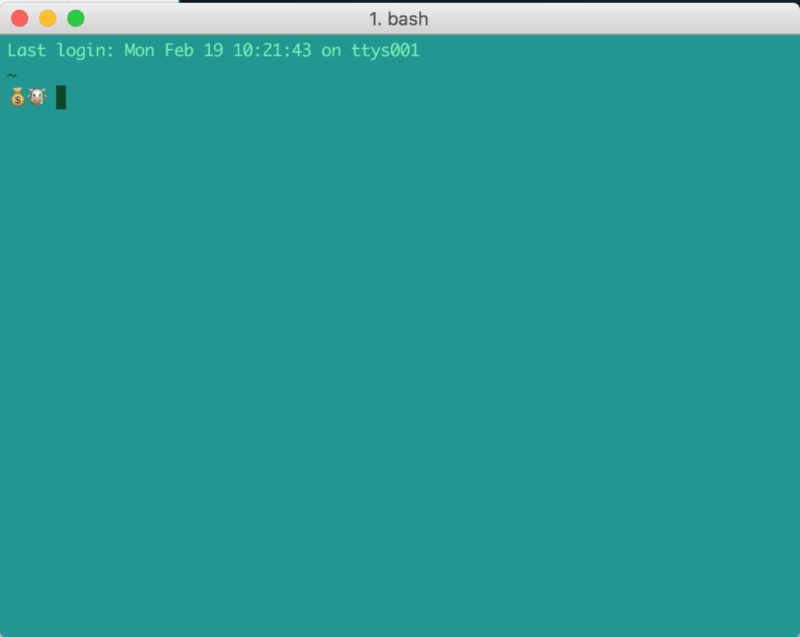 From my experience, the windows terminal is both less useful and simply slower to use than any Unix terminal. But it certainly gets the job done. Ah, I get it. 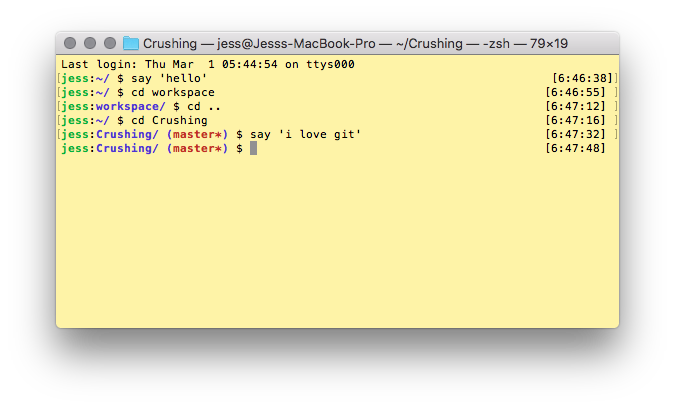 Yeah, for our Windows servers I like git bash. 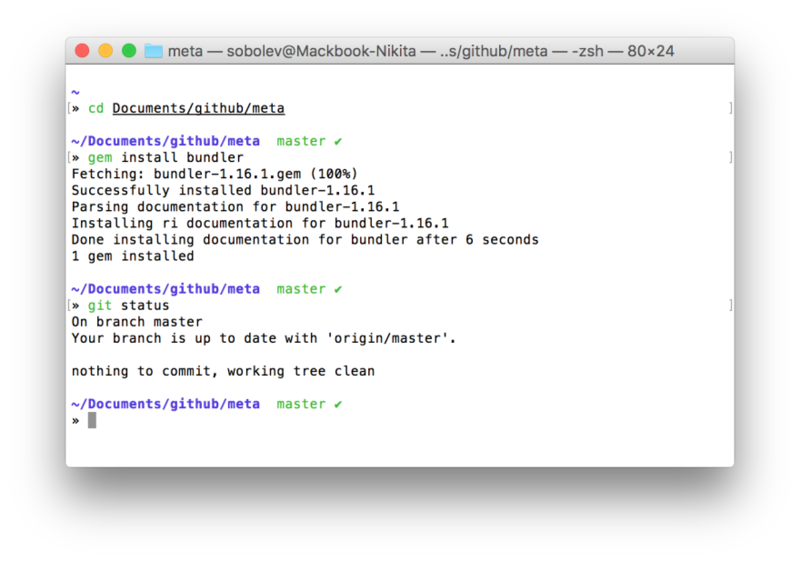 Our environment is locked down enough that git bash isn’t an option for me. I like it when I get the chance, though! 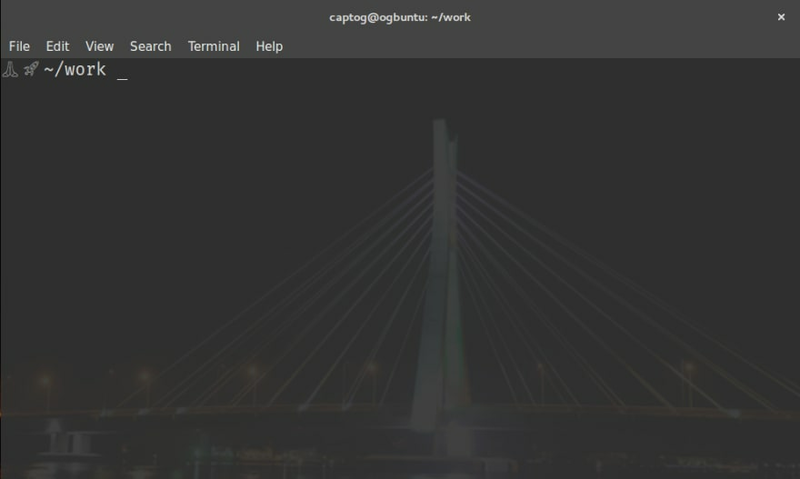 You can do really cool things with it, like using the GCC tool-chain right inside of Windows. 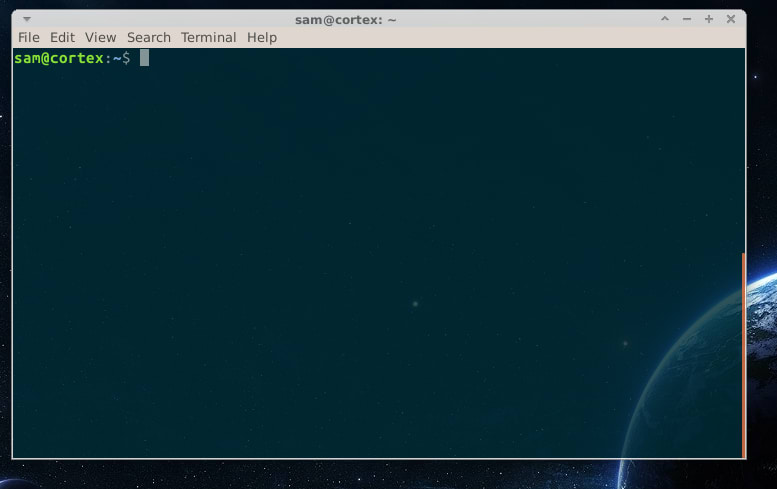 What terminal are you using for Windows. 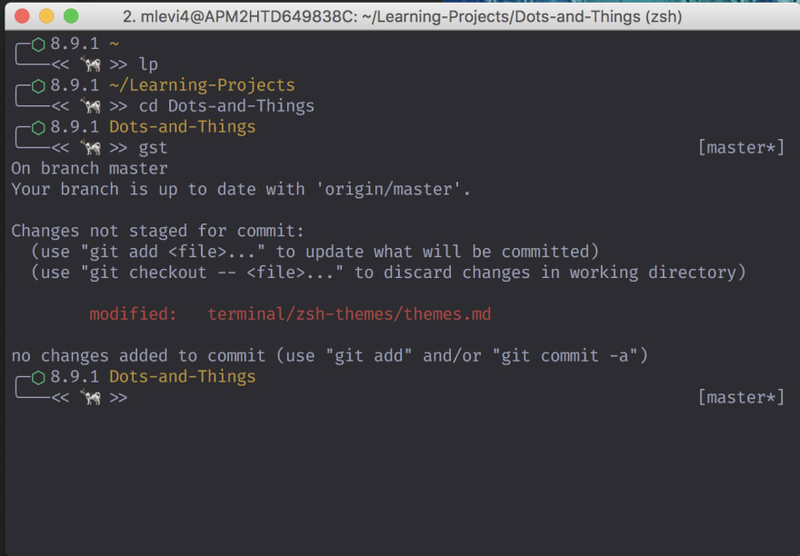 I've been using Git Bash but am looking for something better, preferably something with ZSH. The font I'm using is Realtime by Juri Zaech in case anybody cares. I hope this helps, but I'm sorry if it doesn't. Edit: st has quite a few drawbacks. 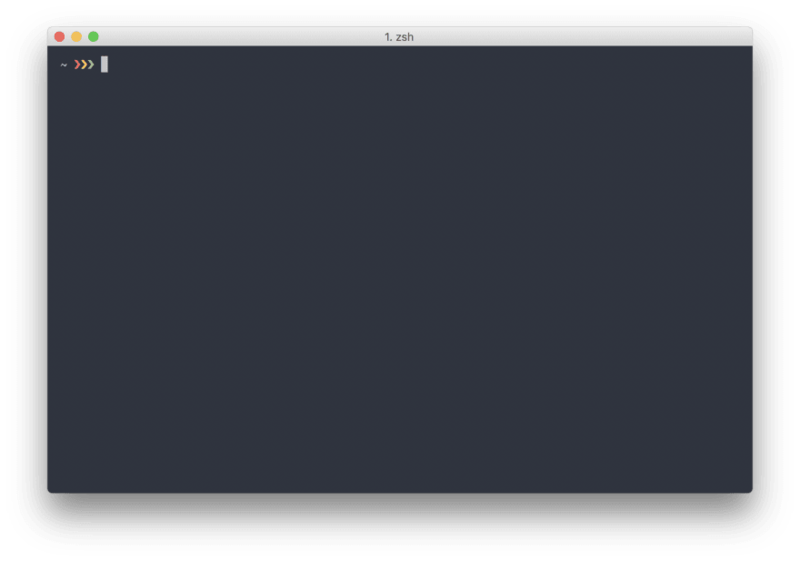 It's a terminal emulator and literally nothing else. You don't even have a scrollback buffer. There are patches on the website for it, but expect to manually splice them in with some code surgery, because those patches are always out of date. Is that NERDTree or something different? What editor is that? Looks neat. 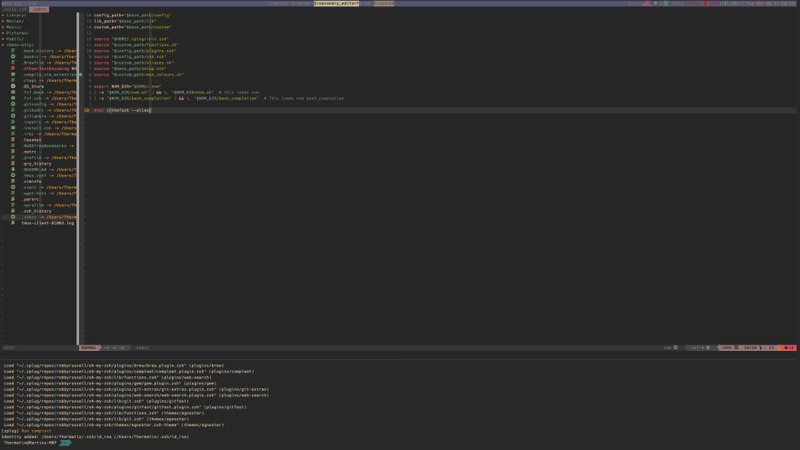 Lol I know how to exit vim, I swear. Didn't recognize it with the file explorer showing. 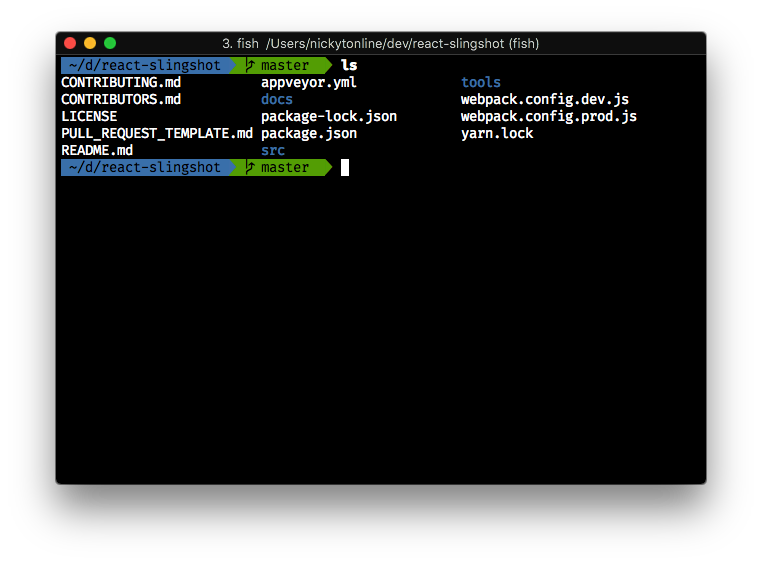 How's react dev in vim? 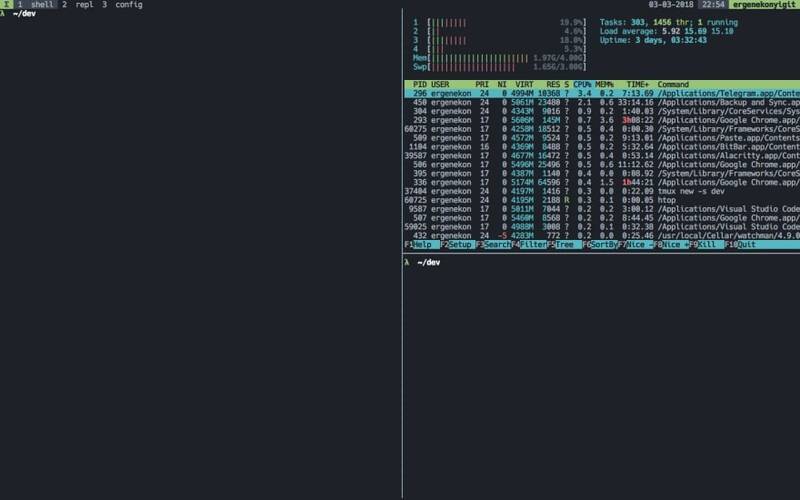 Works very well for me and especially with the combination of tmux I do all my coding in one terminal window. 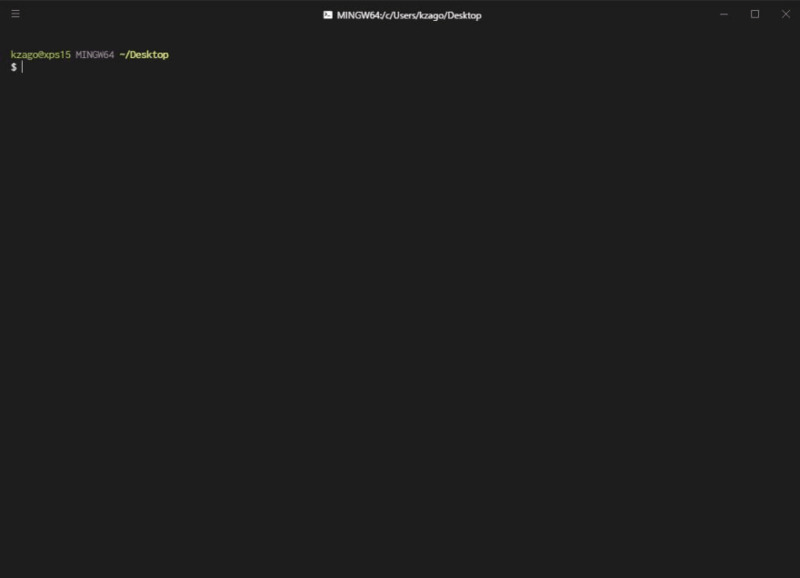 I can even zoom in one pane, do something and zoom back out. Any way you can share your .vimrc? would like to check out your settings. 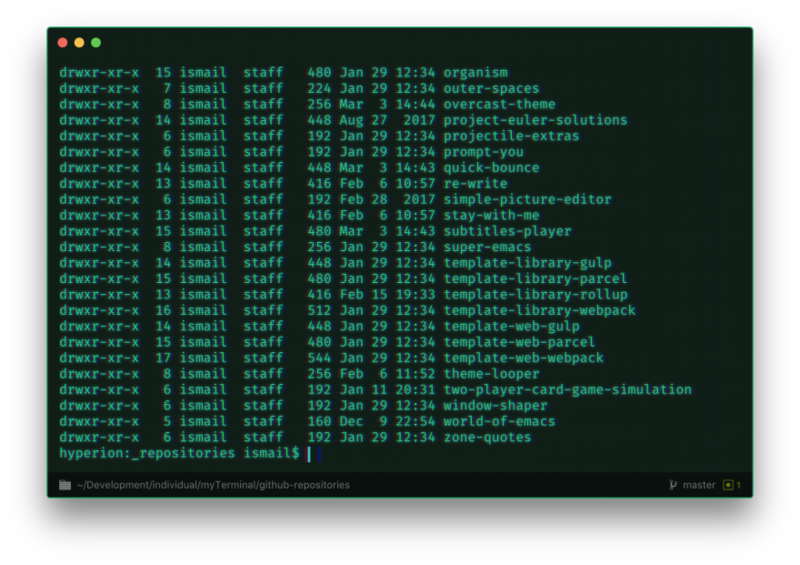 That's my terminal, I use Hyper with the zsh theme zeit.zsh-theme. I like to keep it simple. 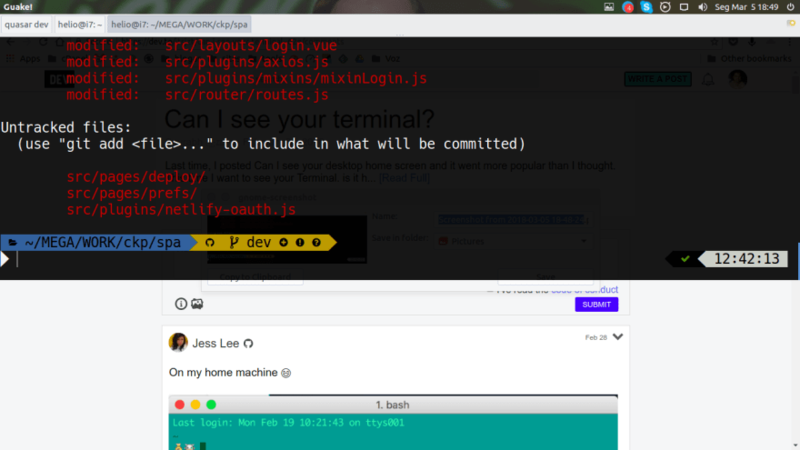 Really don't get why anyone would run node just to type in a terminal... This confuses me. Though it does look pretty. 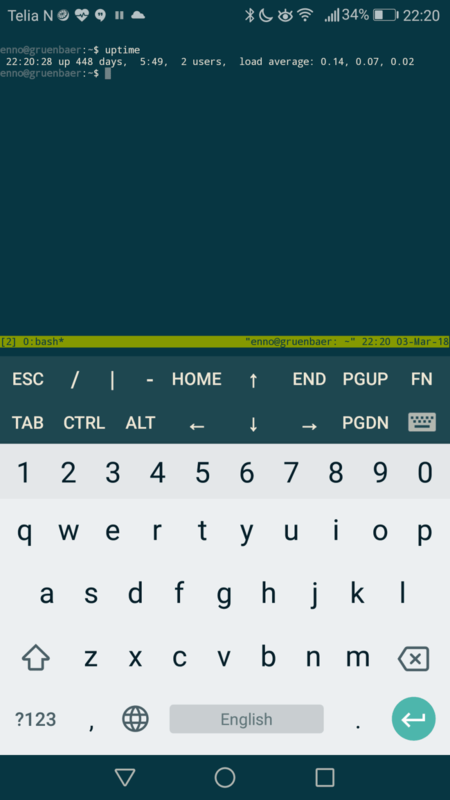 Termux on android - I use default terminals (nothing fancy) with dotfiles in source control so all my devices are matching and I can re-provision if I want to destroy them with fire. 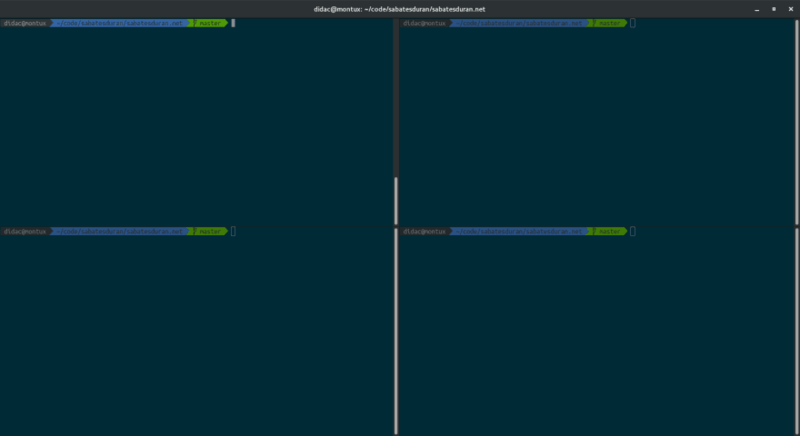 My desktop/laptop/server are all the same format (different uname in PS1, semi-transparent background, otherwise default gnome-terminal), and red PS1 when ssh'd in (since I used to shut down the wrong box from time to time). Obviously programming on my phone is a last resort, but it's saved me from production fires before - ssh and data, what else do you need? How??? I want this config! 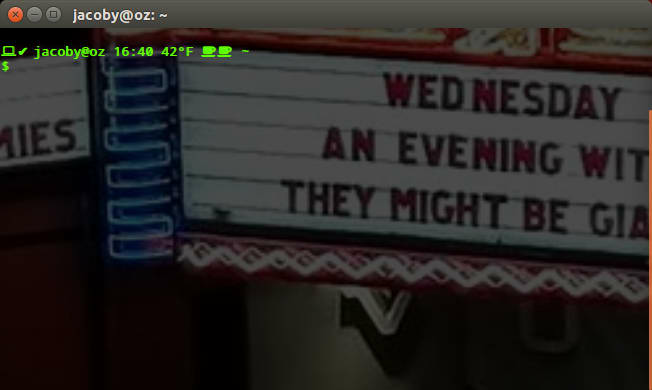 It helps if you have Font Awesome set up on your system. 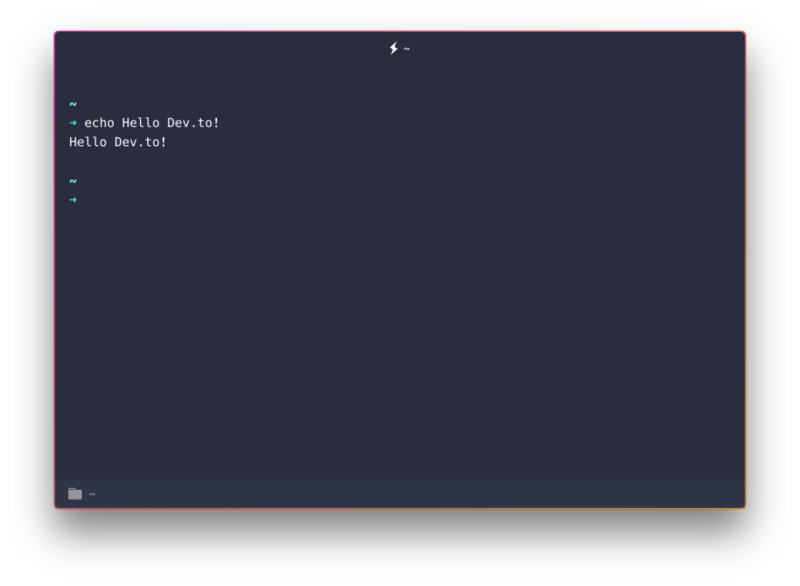 The // ♥ is the default prompt in Flatiron School's IDE (a play on their motto "Learn, Love, Code"), and I've been adding it to my terminal ever since. 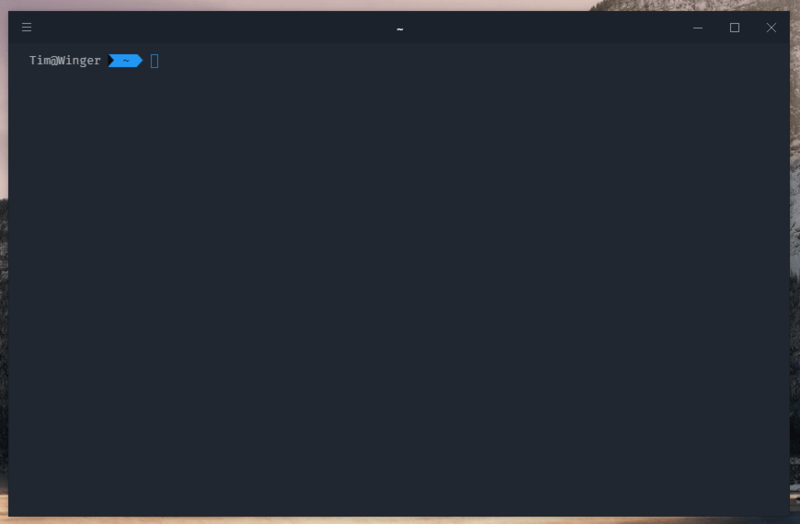 how do i get out of script and the // ♥ prompt? 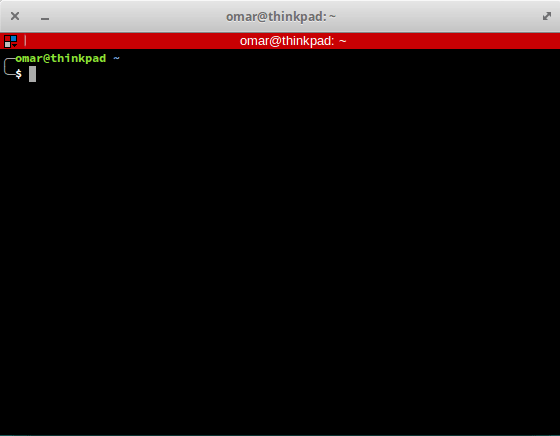 I can't use terminal for anything else. 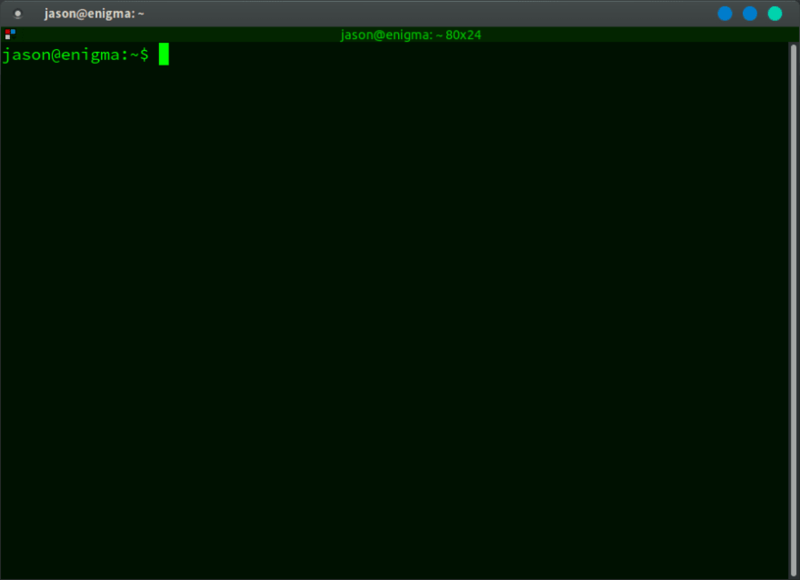 The settings for the prompt are usually in a file in the home directory called .bashrc or .bash_profile, search for PS1, that's the variable that holds your bash prompt. If you want to change it just change the value of PS1. There are lots of tutorials online that teach how to add dynamic information to the prompt, like the current working directory, the time, and how to add color. 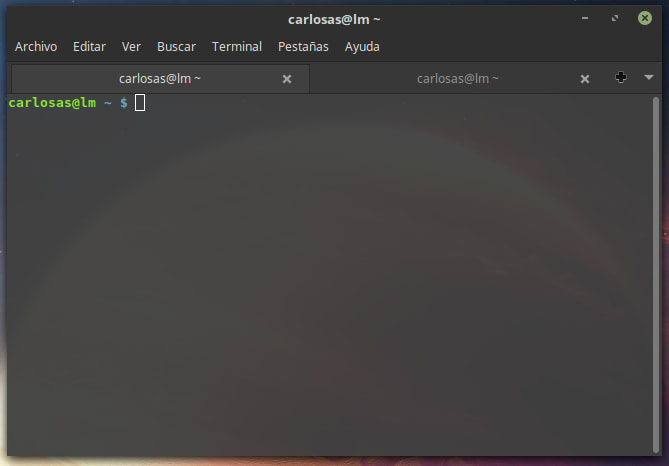 It seems that some kind of script was running and even when I exit it, It would restart when opened terminal again. It started after I followed the set up the Flatiron school tutorials. 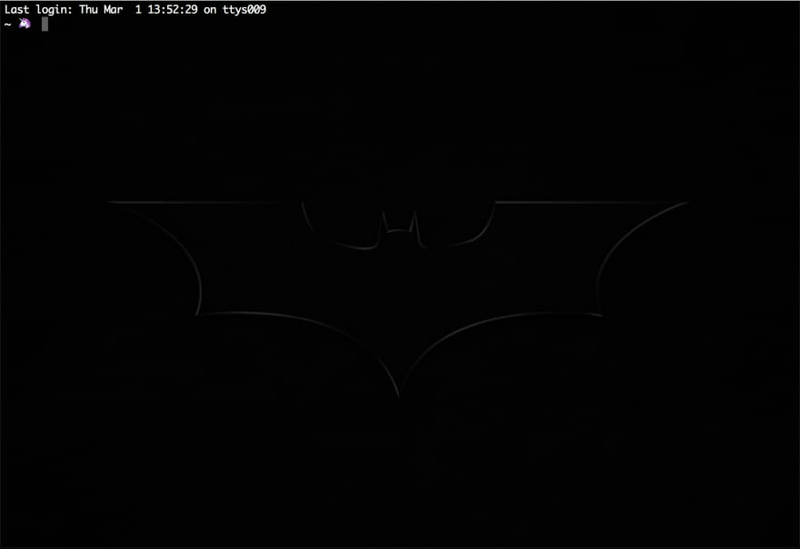 In the end I deleted all the .bashxx files and restarted terminal. 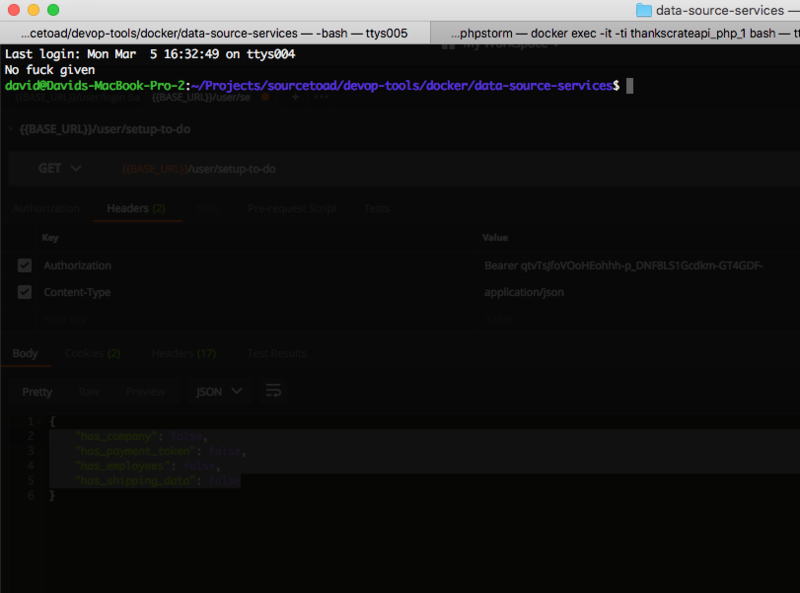 I use hyper as terminal, zsh as shell and pure (github.com/sindresorhus/pure). here is mine, every time someone says something about it, it gets more colorful. You can make a picture show up by using markdown, like this. Where the url is your own, of course. 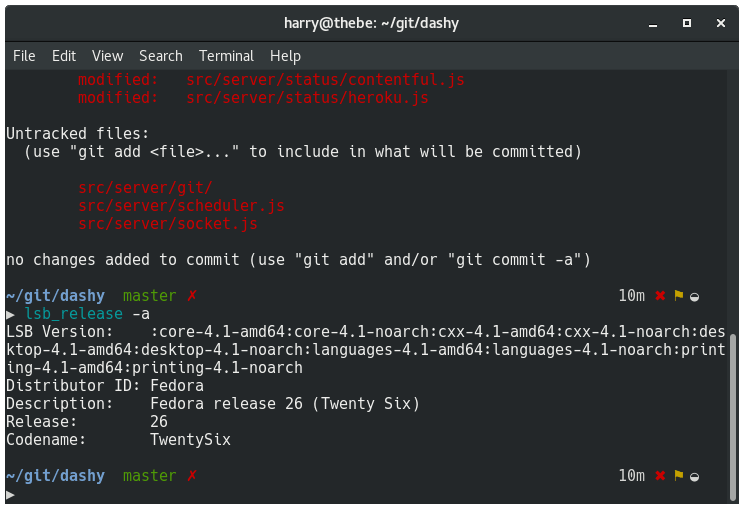 Are you using git bash on Windows 10? 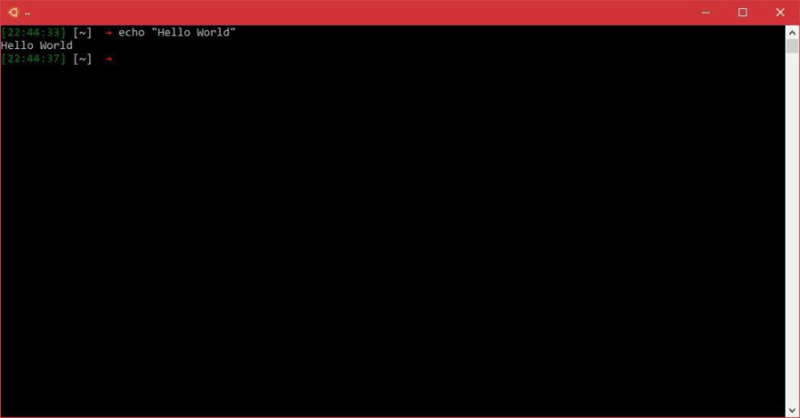 What's wrong with WSL? 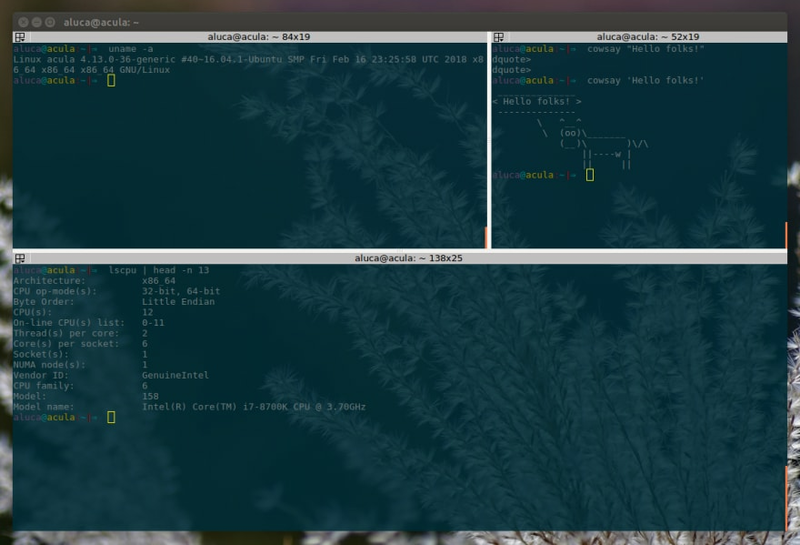 I have Ubuntu WSL with a console theme and oh my zsh with power-line theme and a patched font, for use as regular terminal. 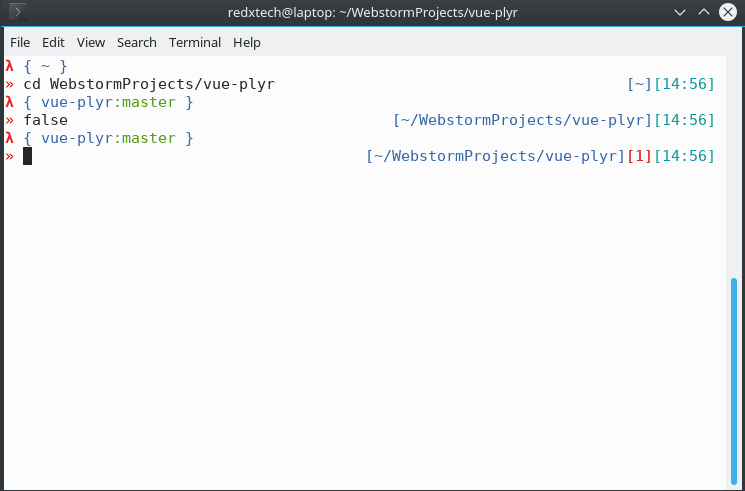 But I also have it set for using as the terminal in vscode. The one I was using was from the power line font pack, there is a patched power line pack. I'm not sure if that had First. However, there is now Nerd Fonts (github.com/ryanoasis/nerd-fonts) which is a much larger pack of patched fonts - still not sure if first is in that. To use any of the forms from any pack, simply unzip the font you want, install it on windows in the normal manner (right click & install iirc) then restart the shell and check the shell properties to select the new font. Thanks alot for replying. Let me try this right away. Edit: Hey @toby it worked. I don't like the amount of information being displayed there. Any tip on how to make it lean like yours? 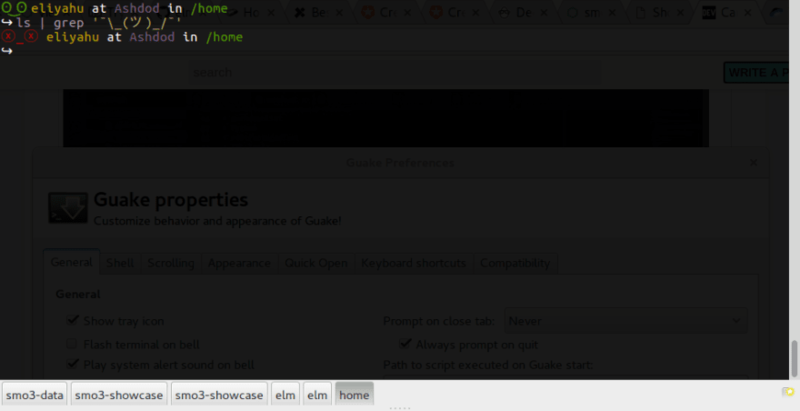 I use Guake drop-down terminal with plain ol' bash, a hotkey to open the pane on demand, and semi-transparent so I can see what's going on underneath--often because I have a how-to of some sort open at the same time for reference. 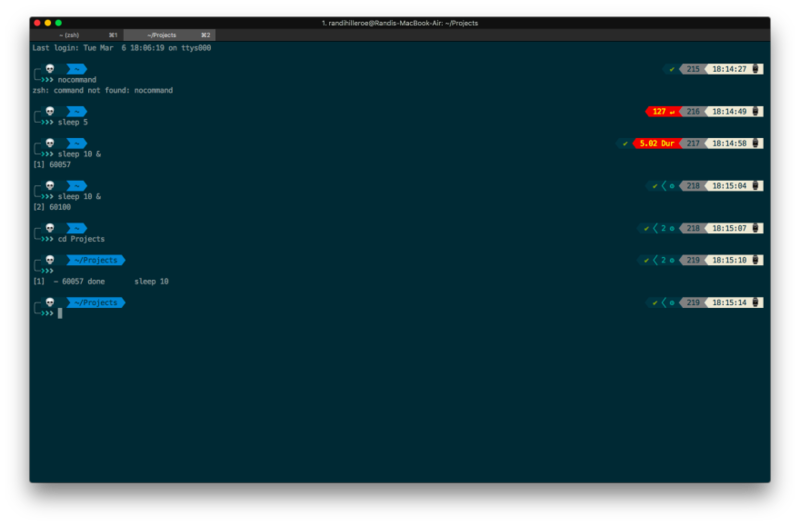 spaceship-prompt + tmux in Hyper with hypernasa plugin. Left pane is gtop. What's performance on Hyper like? 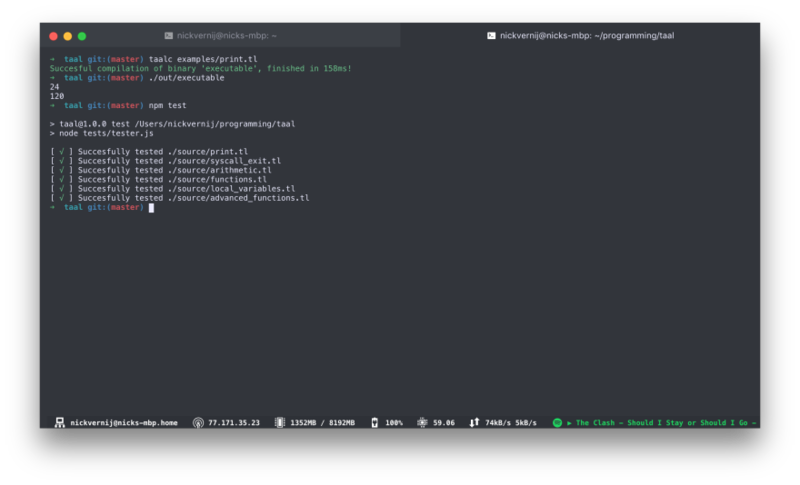 I ask because I know how slow atom can be and seeing as how this is also built on electron I'm a little skeptical on it's performance potential. 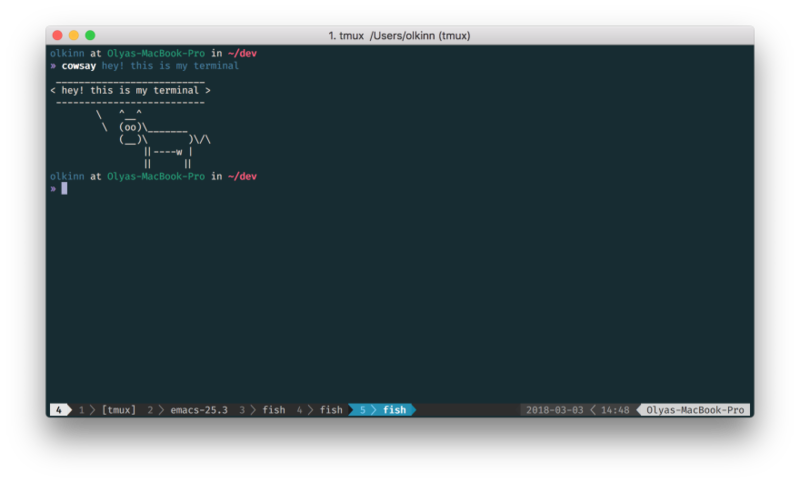 I run Tmux with vim as my main editor and zsh as my shell, I use zplug for zsh plugin management. It's not fantastic, but good enough for how I use it. 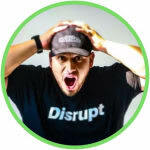 Performance degrades quickly as you start adding plugins. 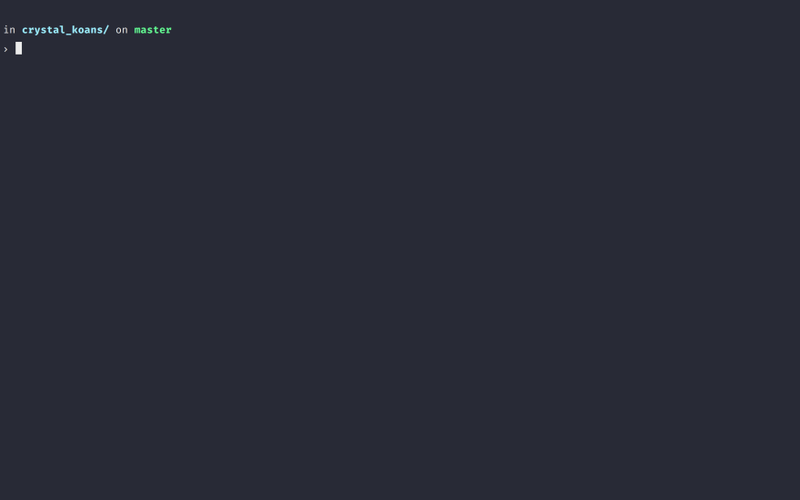 EDIT: Hyper 2 uses VS Code's renderer, thus it's now also wicked fast. 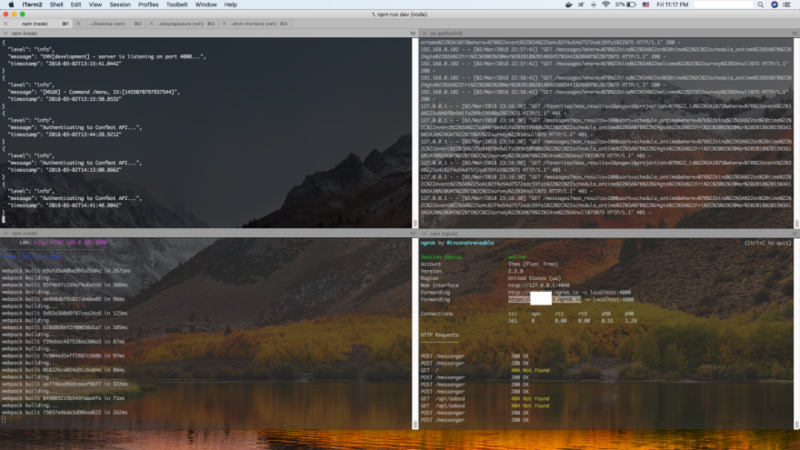 You can see my terminal setup in My Mac Setup. 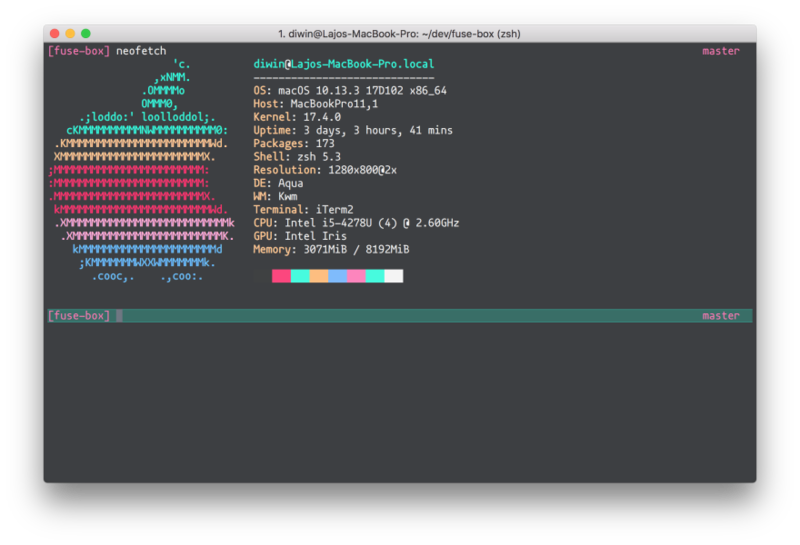 TLDR fish shell and iTerm2 with Joker theme, but about to switch back to agnoster. I'm on public transportation at the moment, but there's a screenshot in my setup post. Alright, back in front of my laptop. Here you go. Konsole with several tabs. 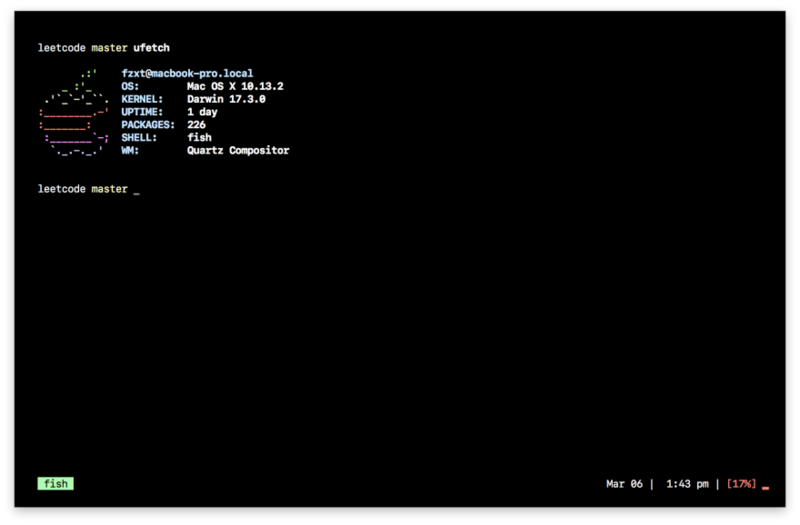 DejaVu Sans Mono font (since I've yet to find proportional font friendly terminals and apps). 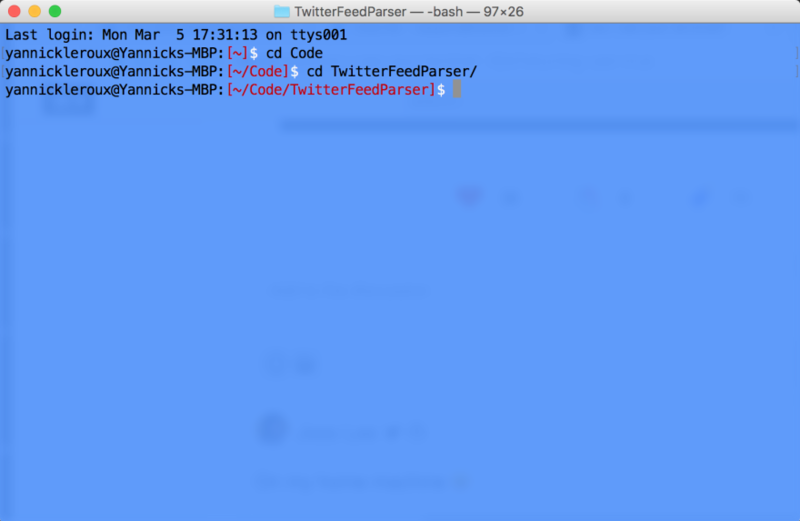 Very large scroll-back buffer, though I clear it often. Bash. 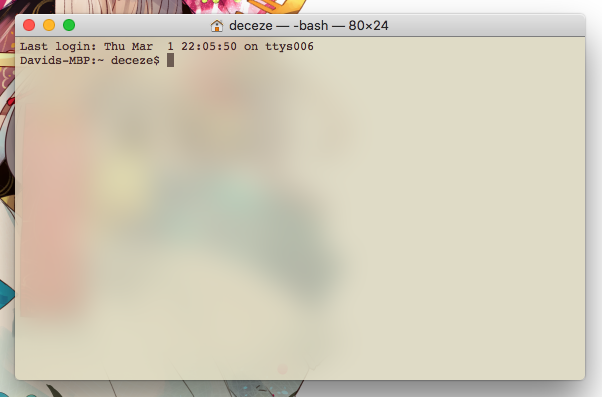 I'm using Iterm2 with zsh shell. 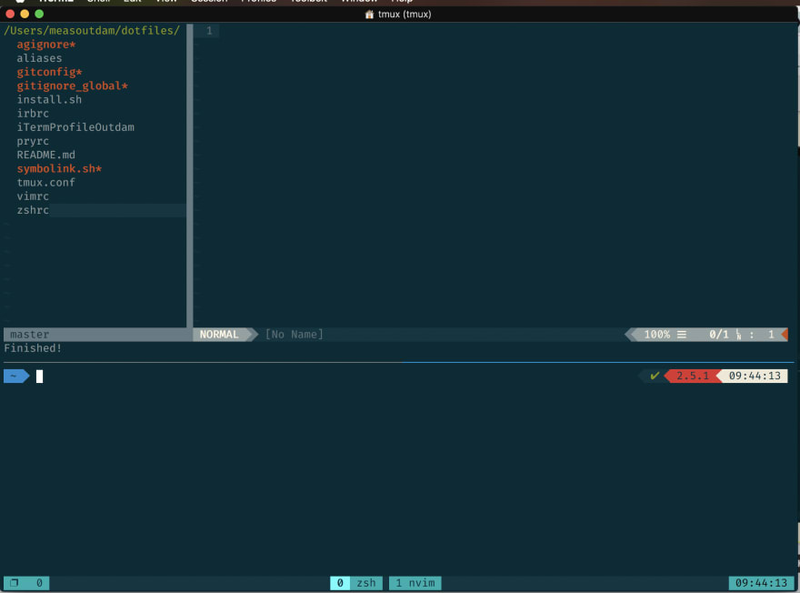 The font is mononoki and the syntax theme is panda syntax. 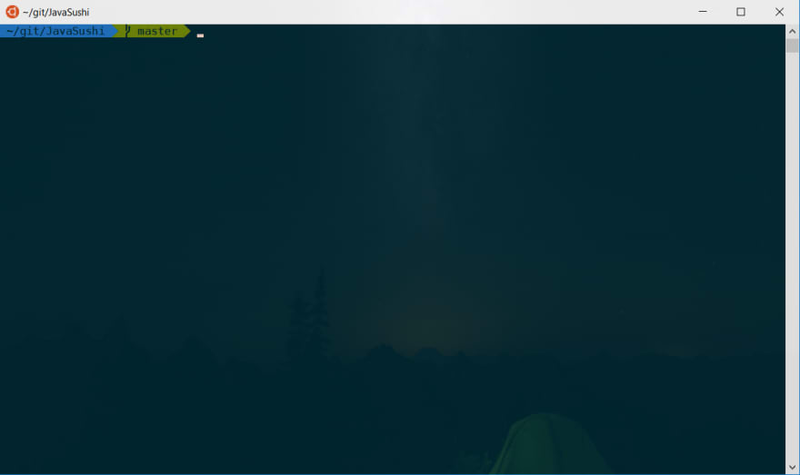 Also the system default fullscreen is disabled and has a toggle hotkey for cmd + (dot). 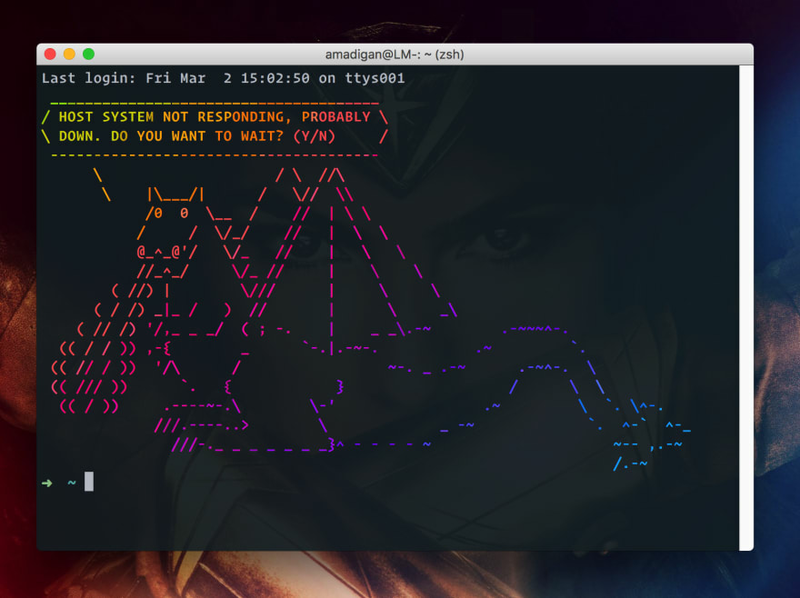 So anytime i want something i can toggle my terminal. I don't think mine is much to look at, other than the status bar at the top. 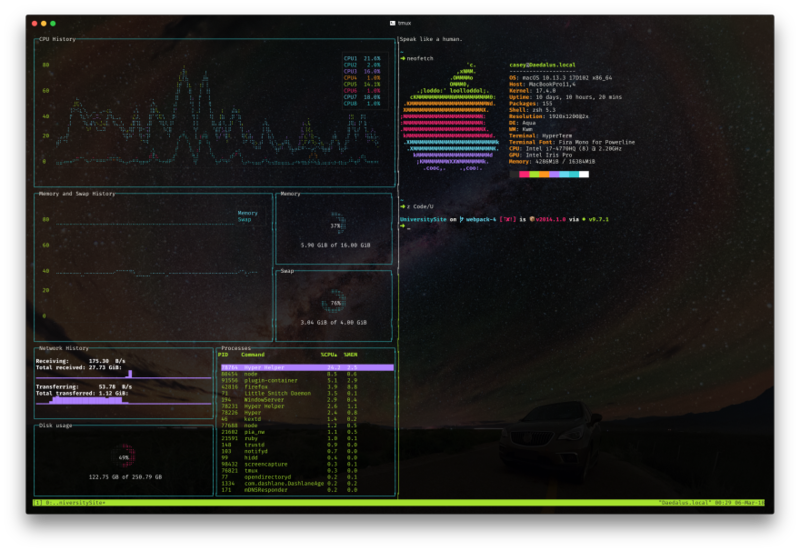 Looking at everyone else's terminals makes me want to fancy mine up more. I mainly wanted to post this because I only saw one other PowerShell user. Why don't you user hyper. It's cool. But powershell is too. Because Hyper appears to be only for OSX and I use Windows? 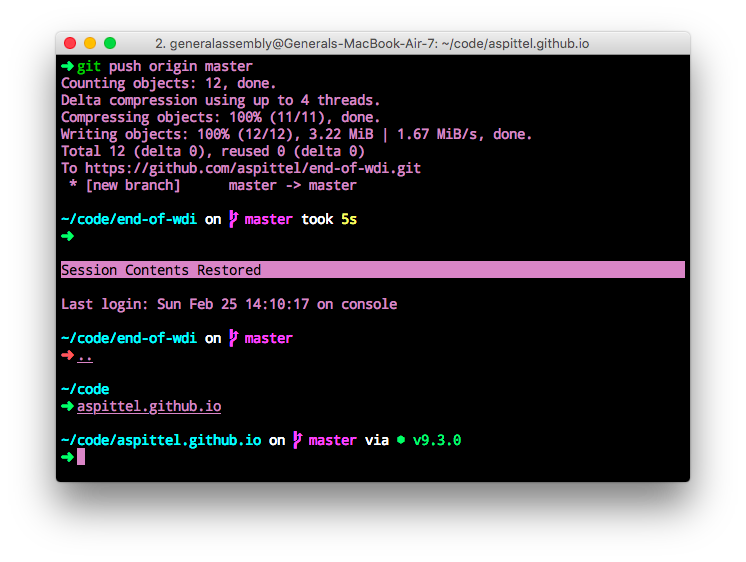 Same setup at home and work since I keep all my dotfiles in git. 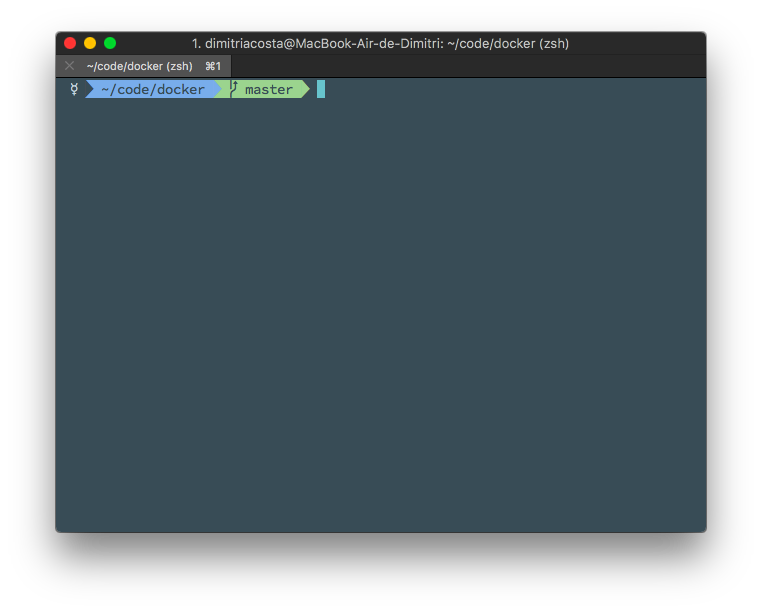 I am using Terminal.app with zsh and sobole as theme. I'm still looking forward to tweaking it more ... but so far I like it. How do you add the background photo? 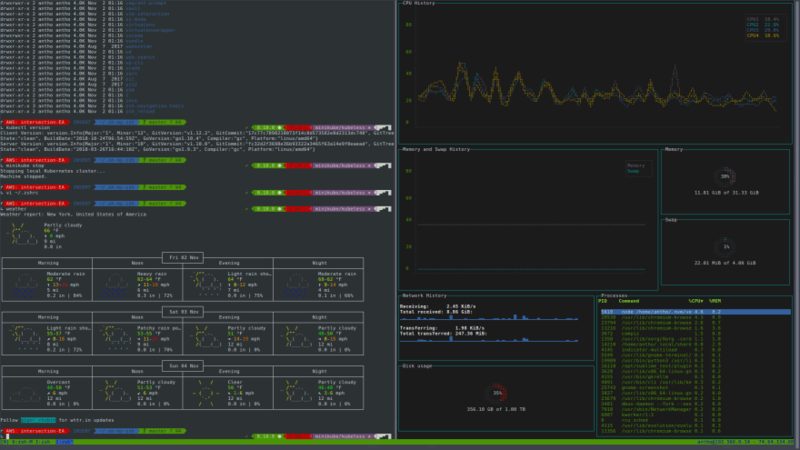 My home setup uses st, tmux with my own theme, zsh with oh-my-zsh and my own theme. 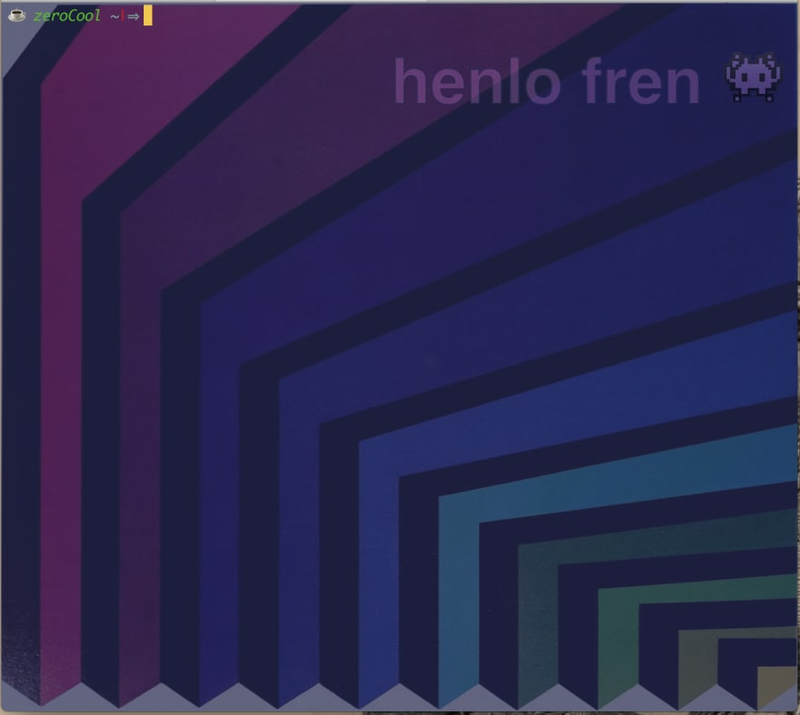 The editor is kakoune with theme desertex (comes with the editor). 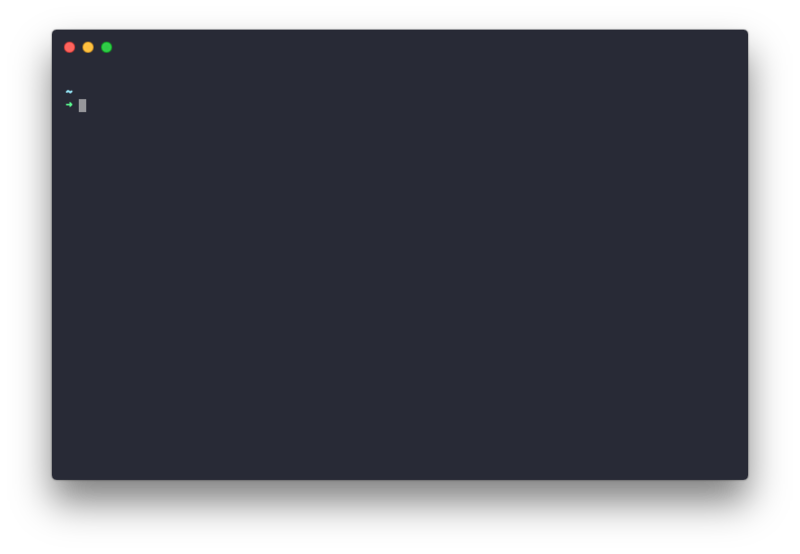 The low contrast shows that the pane is currently not active. [EDIT] Nevermind! I discovered that I had the wrong overrides :D Thank you for your configs!! 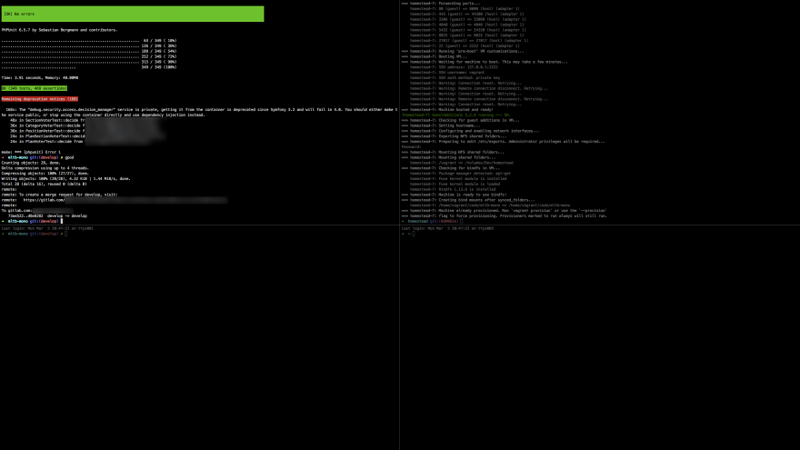 I never did take the time to understand the whole tmux color business; I think it's now time that I did. 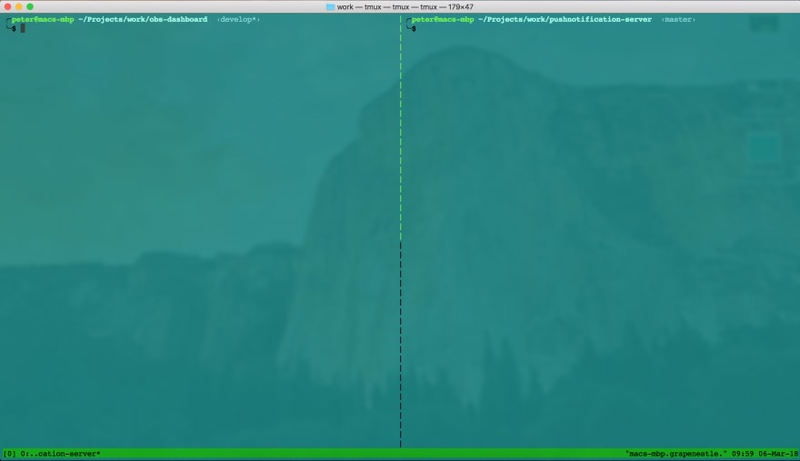 iTerm 2, running oh-my-zsh with the Spaceship theme. Font is Operator Mono, color scheme is Cobalt2. 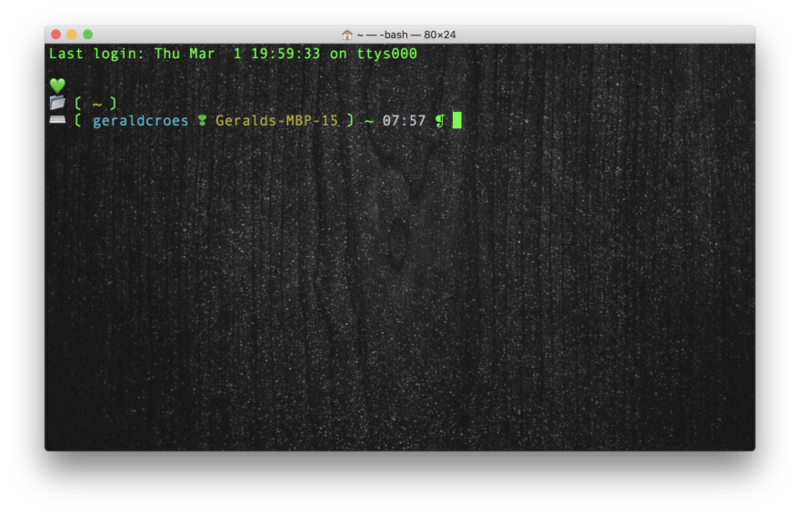 Standard OS X Terminal with slightly tweaked Novel theme. Love it! Do you have a link to the image you have as the background? It's from one of the wallpapers in this pack, if I remember correctly! 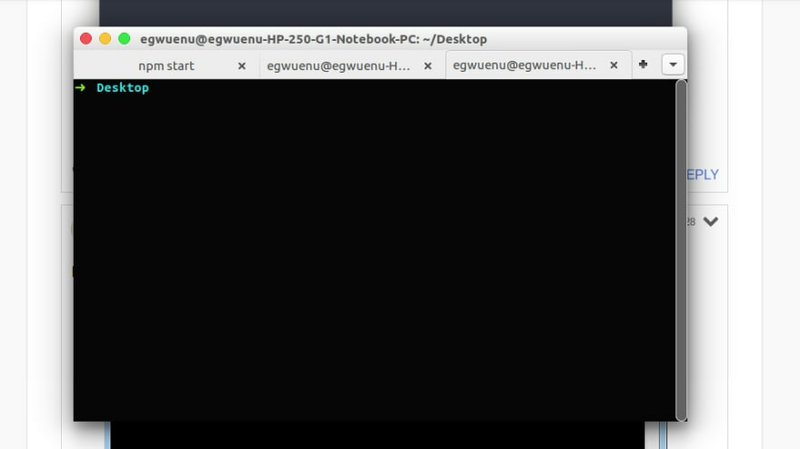 I pretty much exclusively use iTerm's hotkey window overlay to access my terminal from anywhere (with global shortcut). 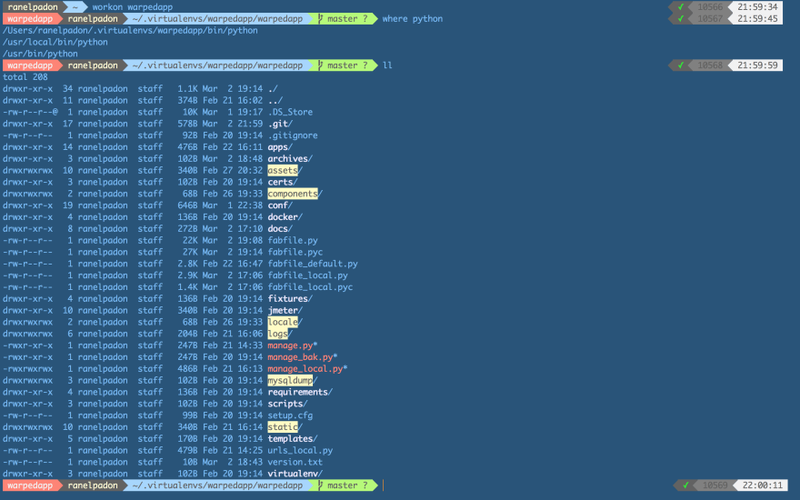 Shell is zsh with the agnoster theme. 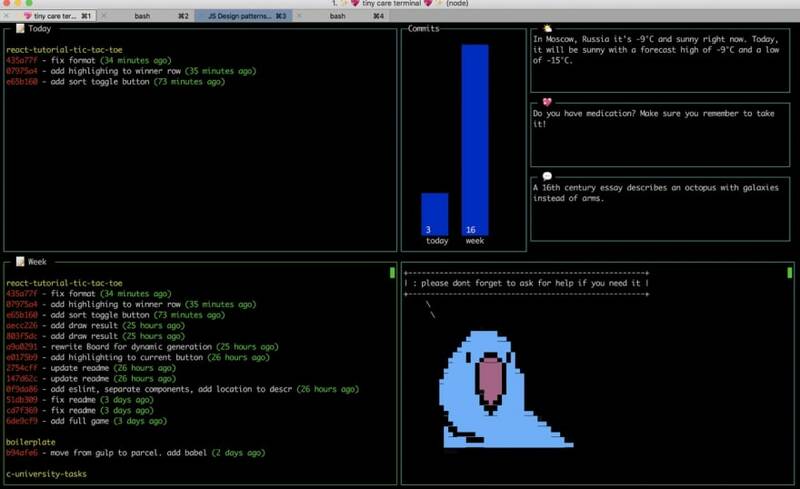 Emacs in a Mac Terminal. 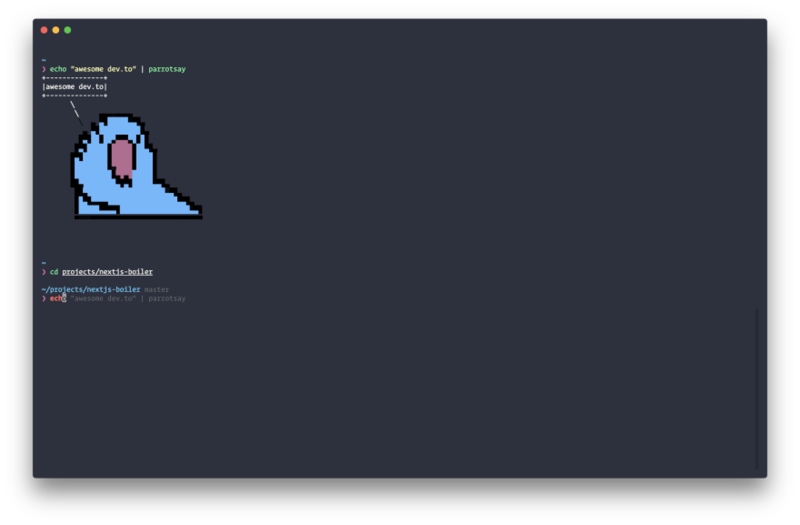 The bottom buffer is a shell, the top buffer is whatever I am working on (at the moment, a document for docs.opendatakit.org). 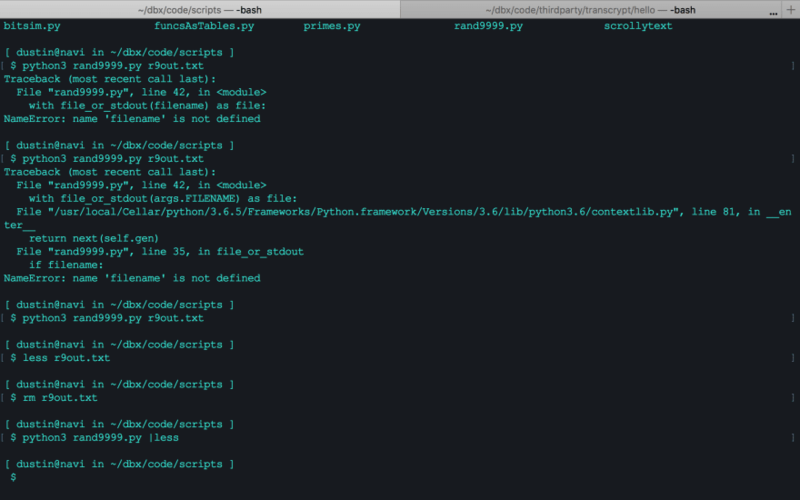 When working on web stuff, including docs (which I usually am), I also keep a second terminal open that runs a Python http.server in the build directory. 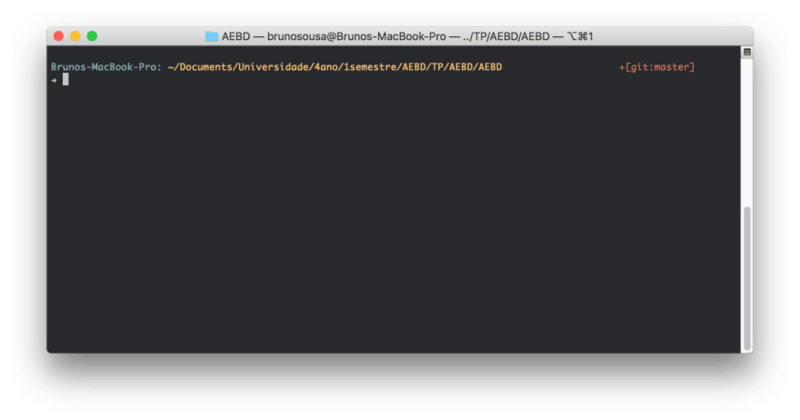 Emacs has a few different terminal options. I only really like shell, but none of them quite work like I want to. 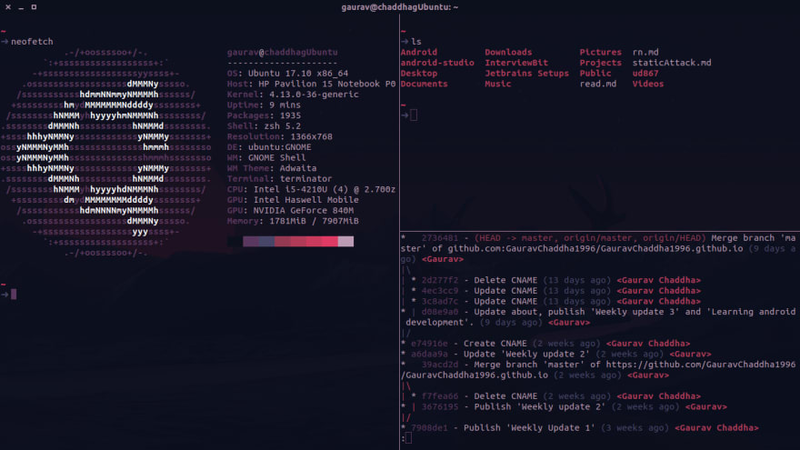 Here is mine - Terminator on Ubuntu 17.10, using Oh-my-Zsh with spaceship theme, and color scheme generated using pywal. Could you tell me how to set separator line color and size? I never customized it. That was the default color in terminator. Sorry mate. 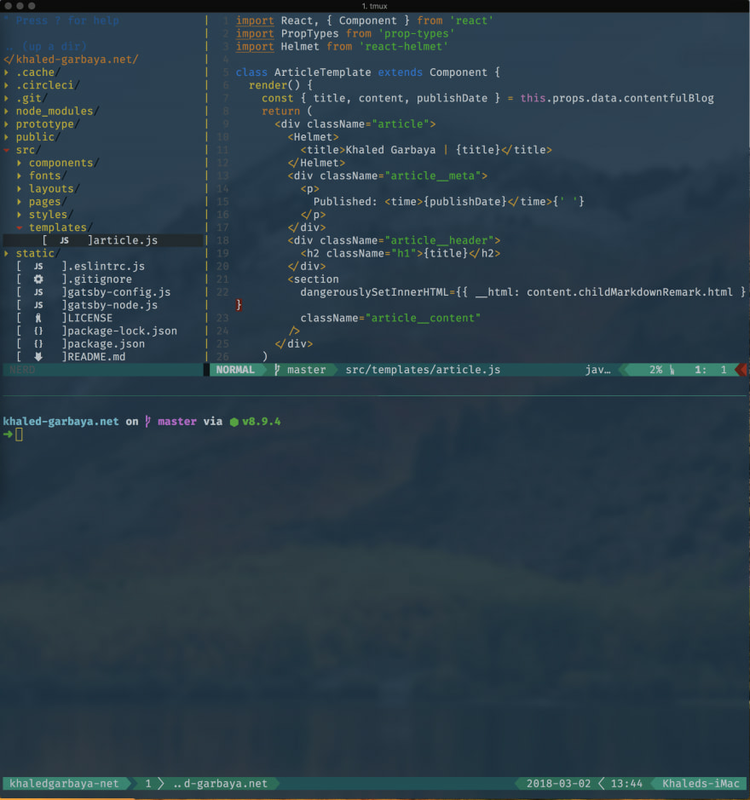 My custom theme for ZSH. 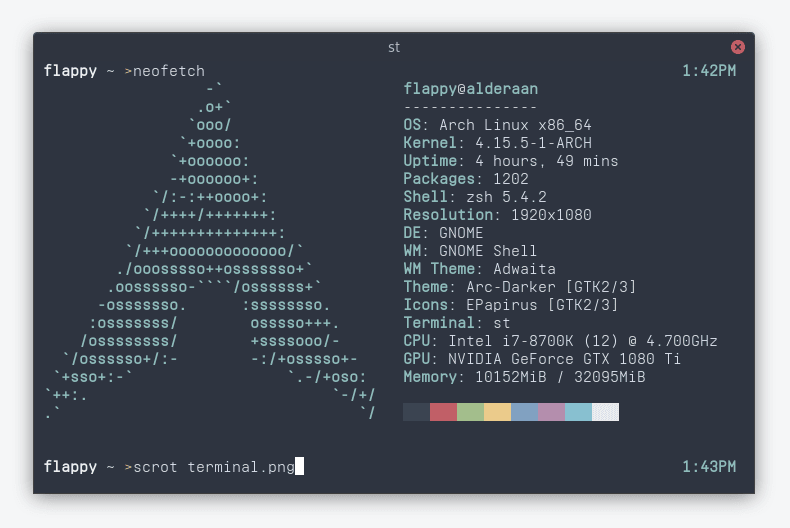 The terminal is gnome-terminal on arch linux + KDE. It's fully customize-able by default if there are things that you would like to change about it as well. 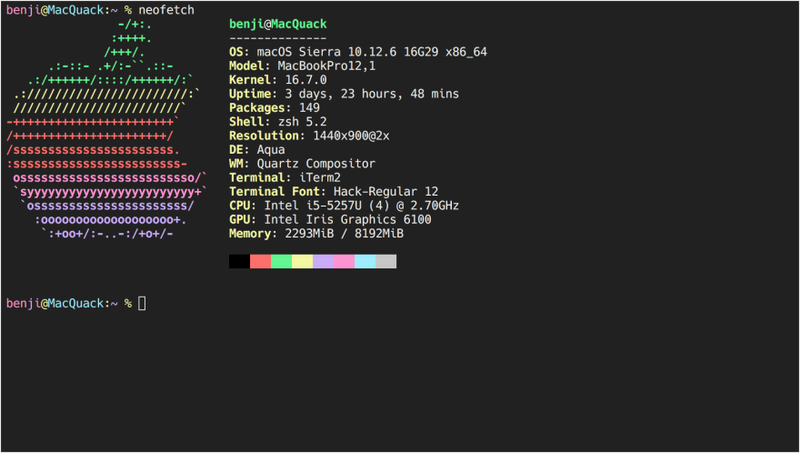 This is my Guake Terminal, it runs fish, instead of the default bash. I set it to auto-start on boot-up and always keep it running on the background. I call it by pressing F12 and it drops down like a video game console, I press F12 and it disappears while still running, without cluttering my already busy window list. 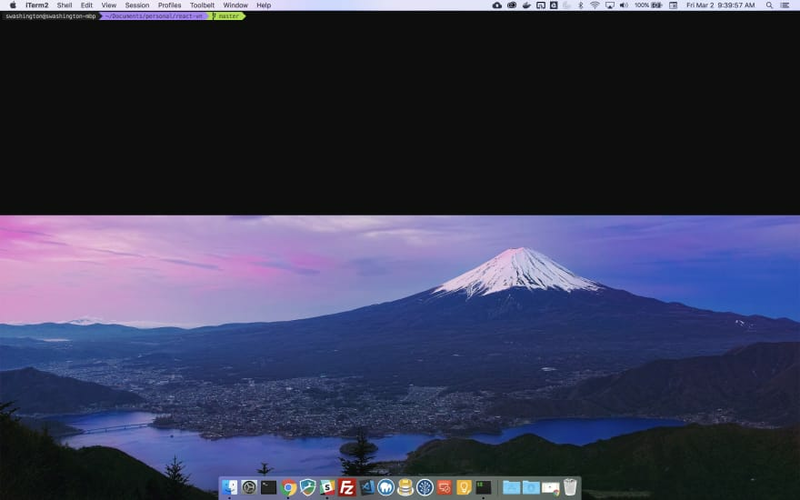 I can set an image as a background, set the background's transparency, choose different themes, open multiple tabs. 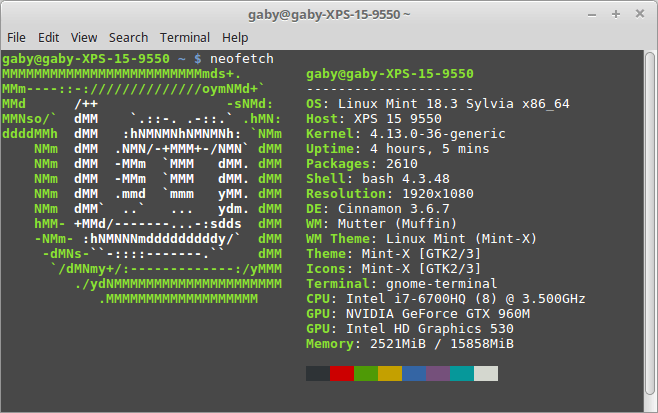 I love my terminal! 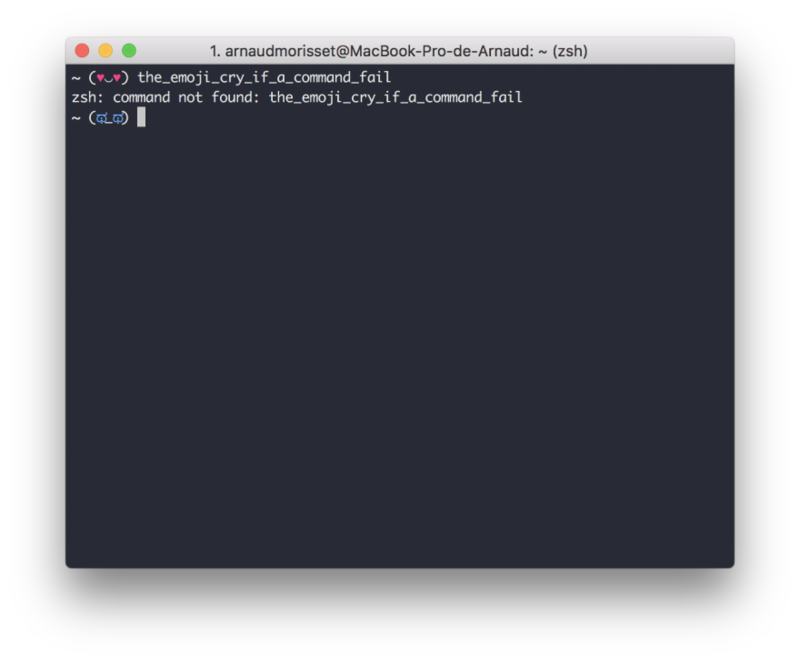 It's the default macOS terminal. The text color is currently not the shade of teal that I like, because I messed it up trying to improve the contrast. 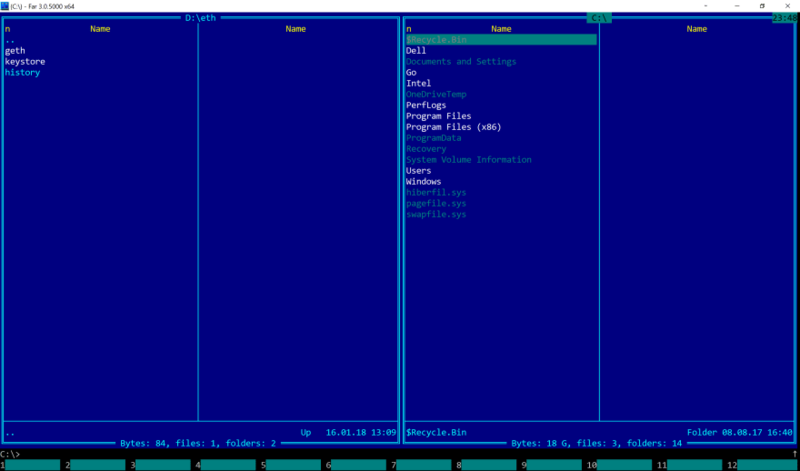 I want to mess around with ANSI colors a bit to offset the program output from the commands and prompts. I also think it would be nice to show the return code if it's nonzero. My machine, the background is animated, you can see it here. Hyper fully supports Emoji! 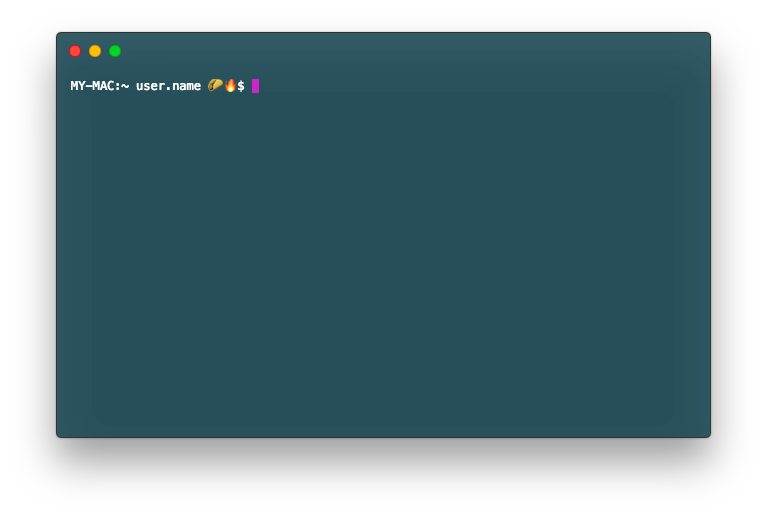 That's very cool since you can put emojis all over your .bash_profile or .bashrc and it will show up every time you run a command from those files. Here's mine. I just started working on my graduation thesis project. 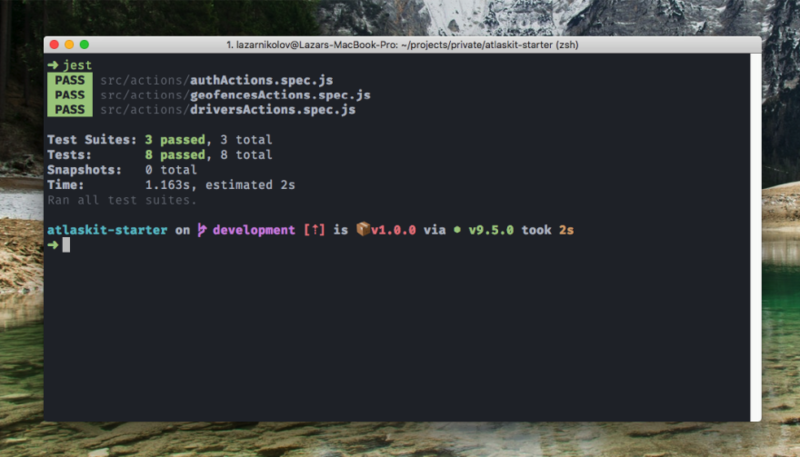 It's a react app that communicates with a Traccar backend system. 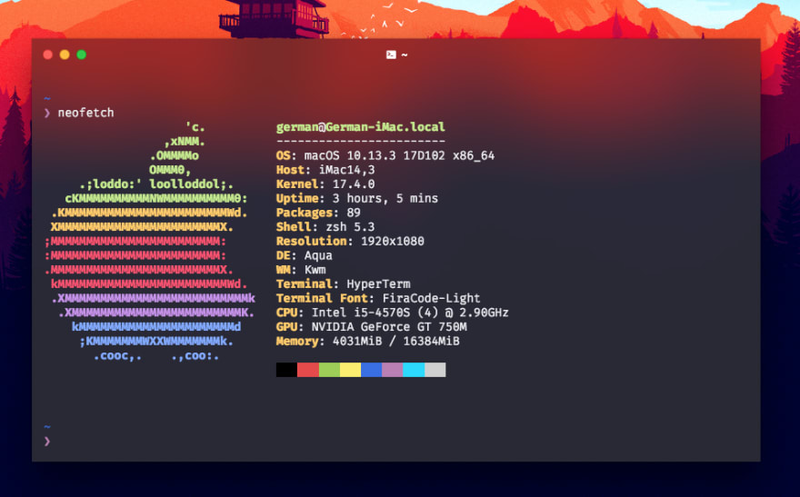 Inspired by this post I decided to spice up my terminal a bit. 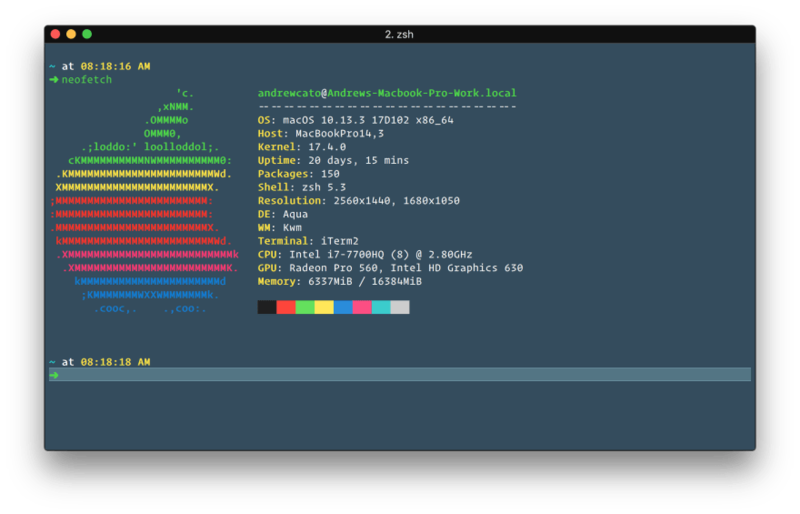 I switched to zsh using oh-my-zsh and have added a nice skull emoji to the powerlevel9k theme as well as a few other customizations. happy that this post helped you out to find something good. Brings me joy every time I use it! 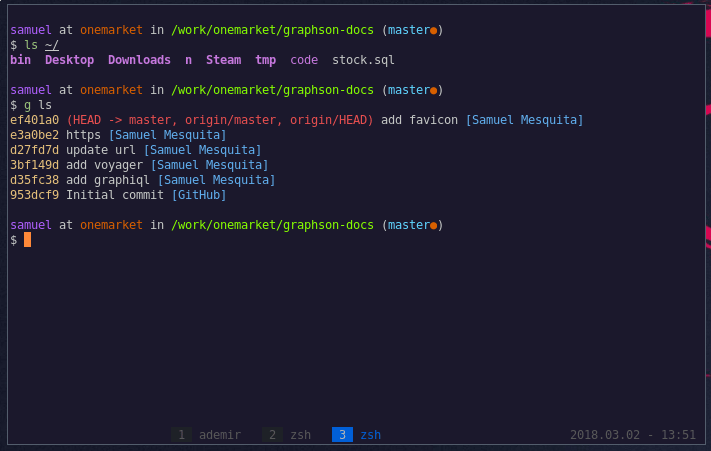 iTerm, zsh, powerlevel9k, OMZ, and custom colors because I cannot look at half the color schemes without my brain and eyes burning. Soft colors. I'm not currently using magicalness anywhere, but I switch back to it from time to time. 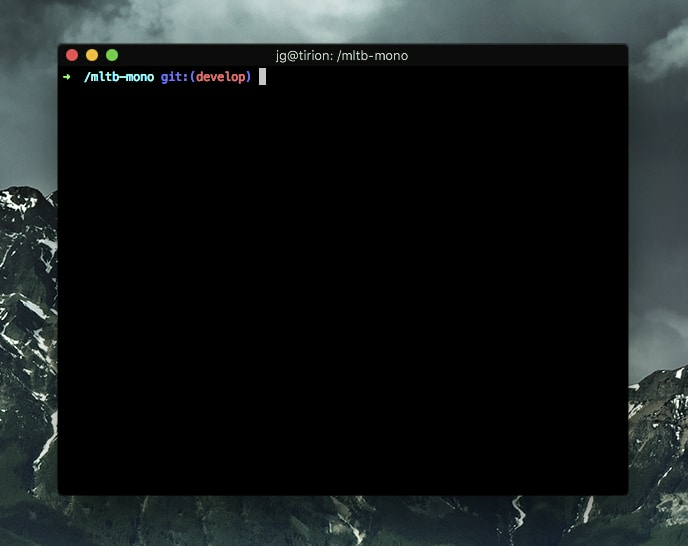 Each time a new window/tab is opened in the terminal the emoji in the last line is randomly swapped out. 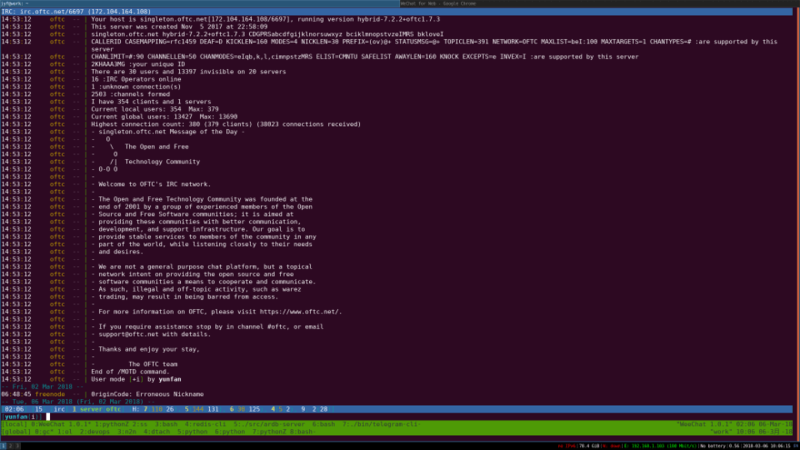 On my work machine, but looks almost identical to my home mac's terminal. I love this color and the transparency. 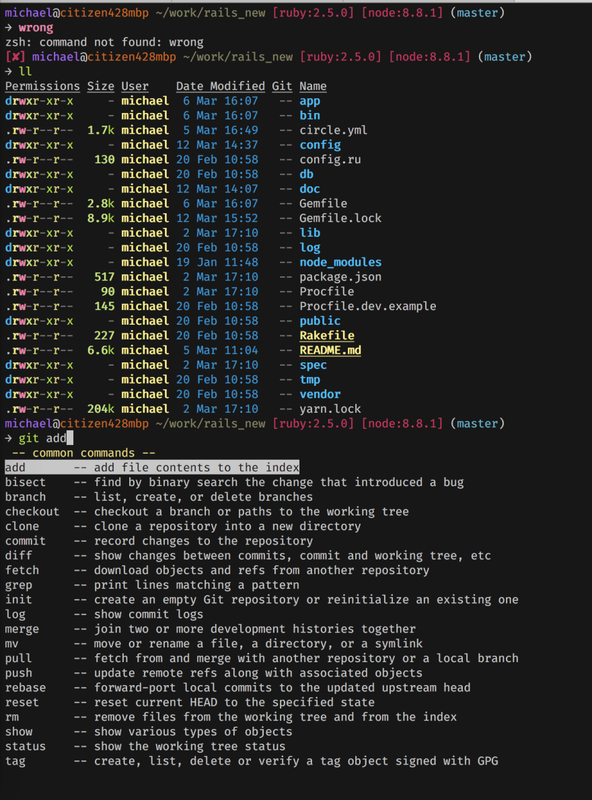 I recently switched to using ohmyzsh. I use Nord as theme. 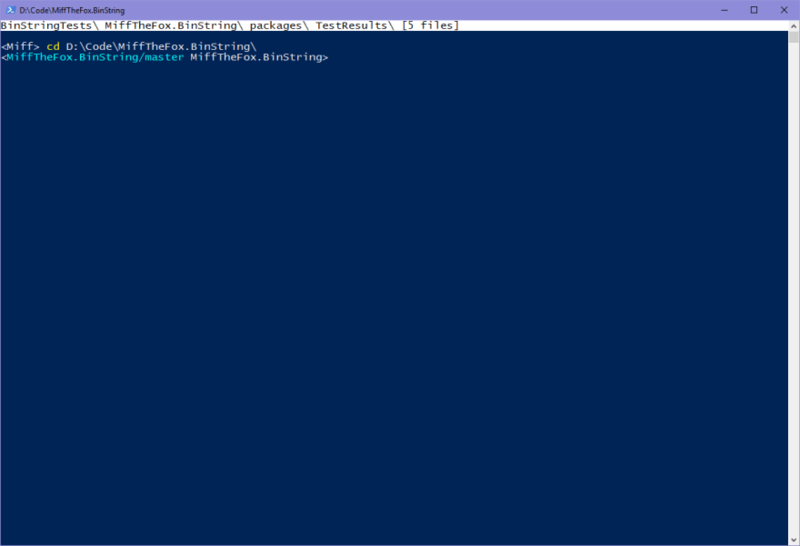 Running PowerShell in ConEmu. 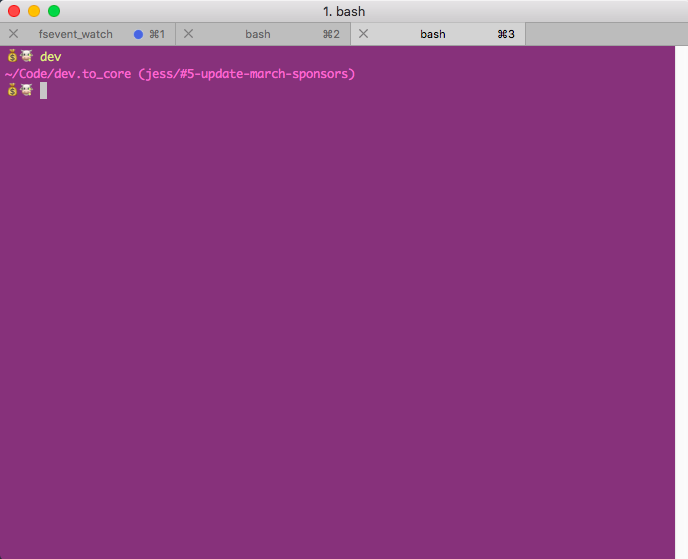 Prompt is oh-my-posh, rolling my own fork of ps-colors with added icons. 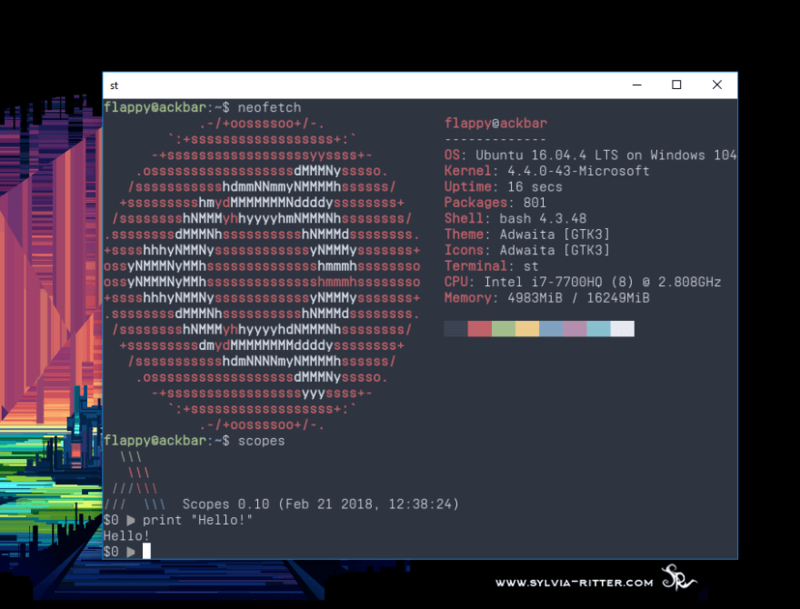 Using Windows Subsystem for Linux as a local terminal. Normally find myself in an SSH Session to another box though. (Have KiTTY, a PuTTY fork, configured quite similarly). 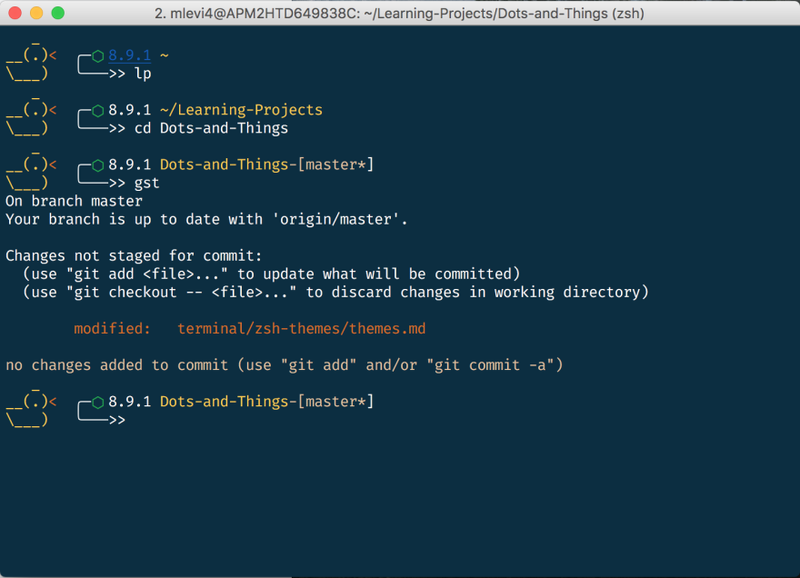 Using a solarized Dark color scheme, using dotfiles in source control (on my github). Right. 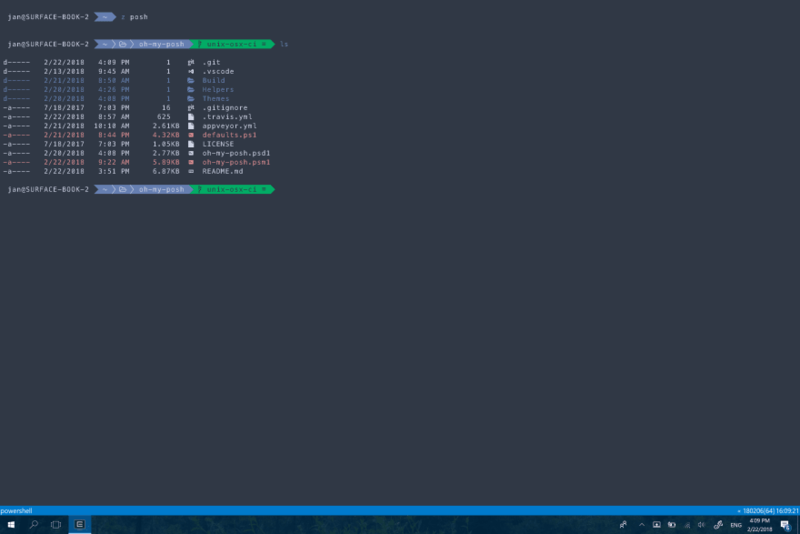 Zsh on Windows. I mostly work with Linux, but... it's my home computer. I'm hyper for Hyper. 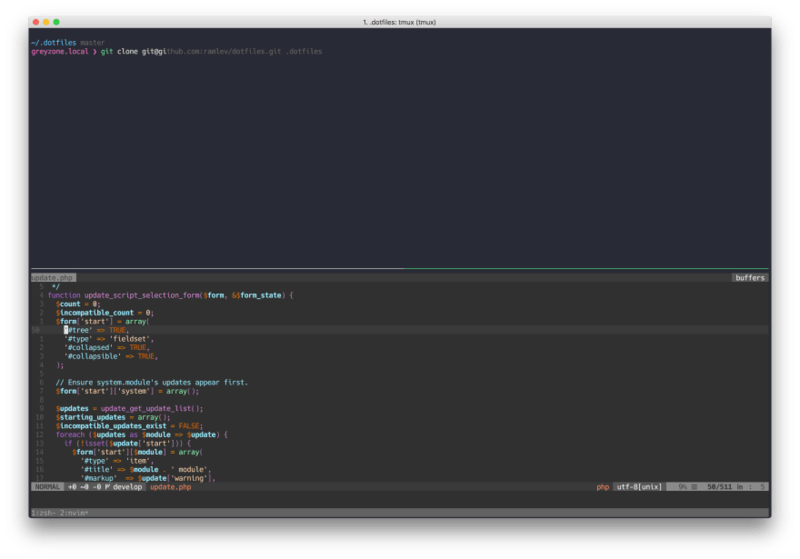 No plugins, just a hand-made Atom One-Dark theme to match Sublime, IntelliJ, PHPStorm, and my titlebars..
Actually that was the first day I was using it. 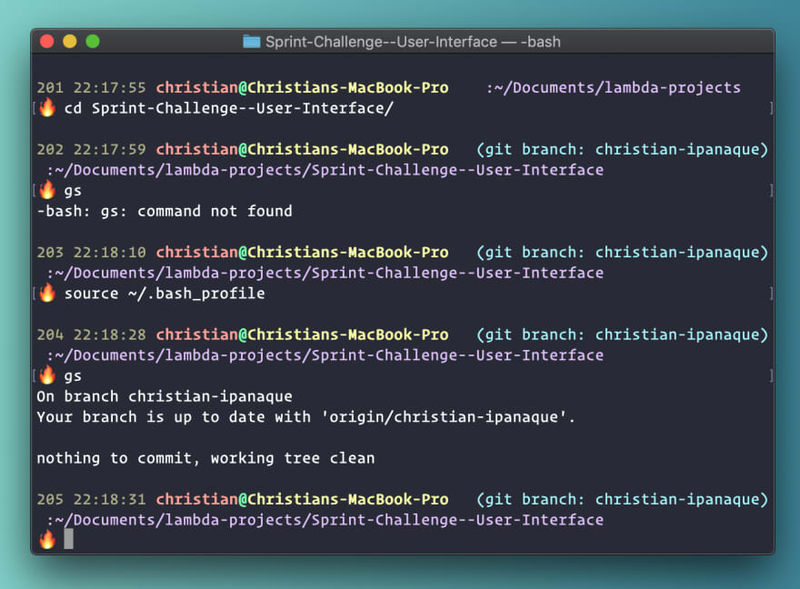 I most commonly use the terminal inside VS code. But its a really beautiful terminal. Everyone using Mac to develop. 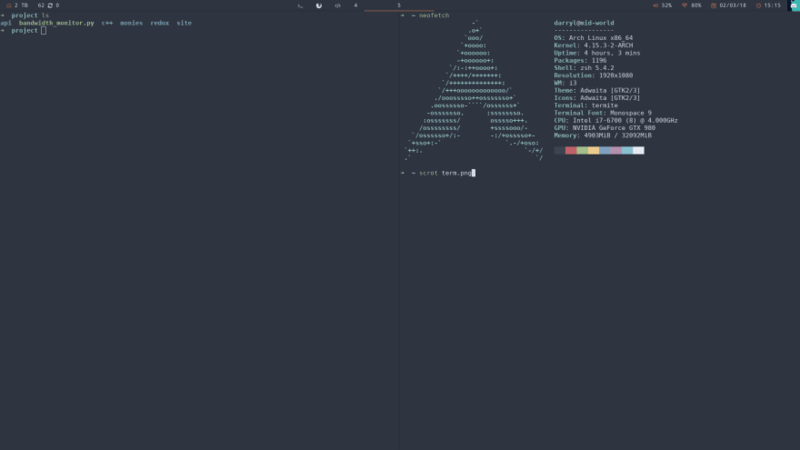 Am I the only one with Linux? It seems I cannot figure out how to upload images here. The image upload doesn't seem to work on mobile, at least I didn't get a link to paste. 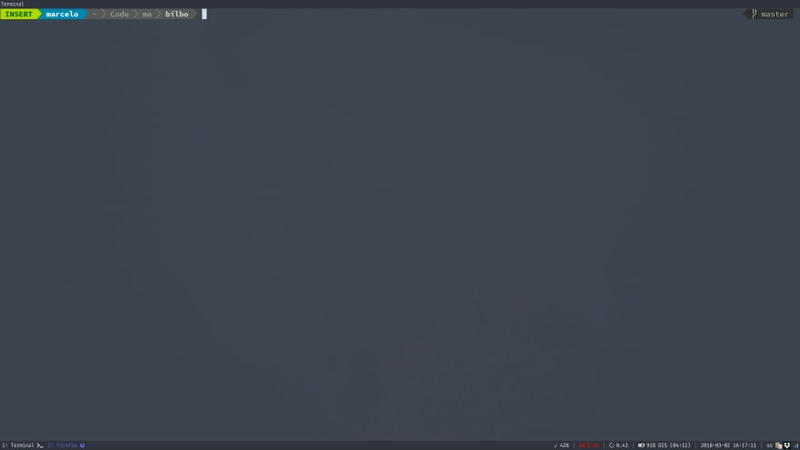 Just the standart kde terminal with breeze dark theme. 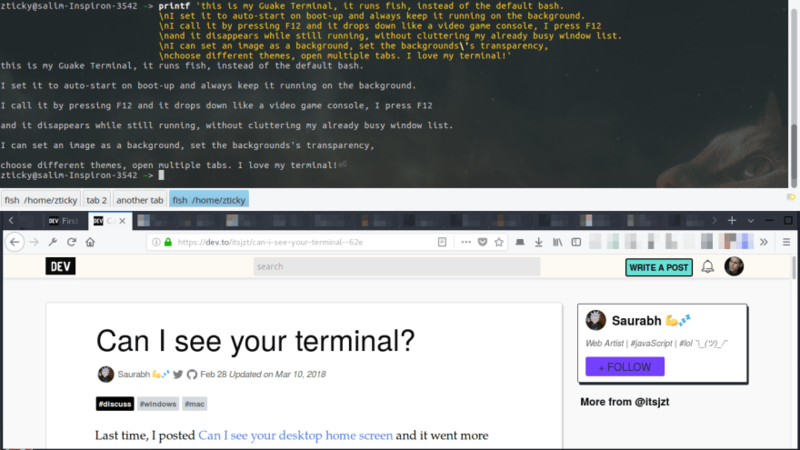 I wanted to do my First Post about Terminals. I ahve five different ones I review. Please check them out. Thanks! I used three different browsers to test it. I hope this works for you. Here's mine! Was finally able to add emojis to my it!